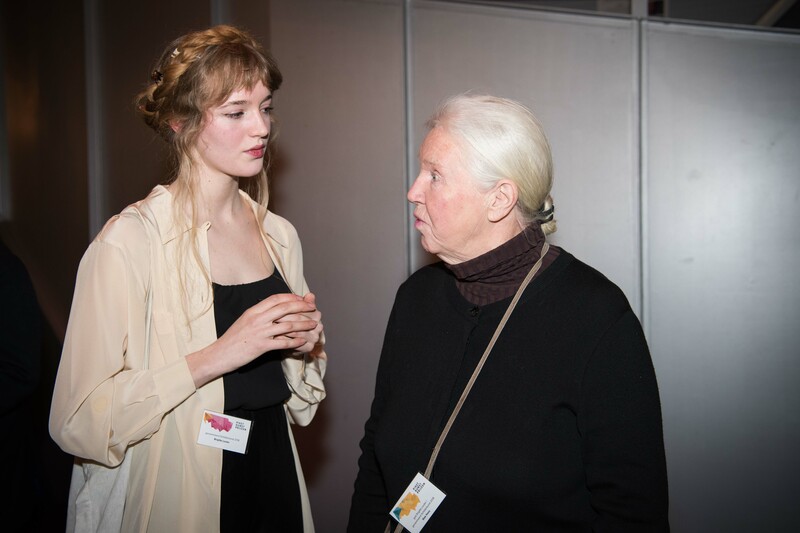 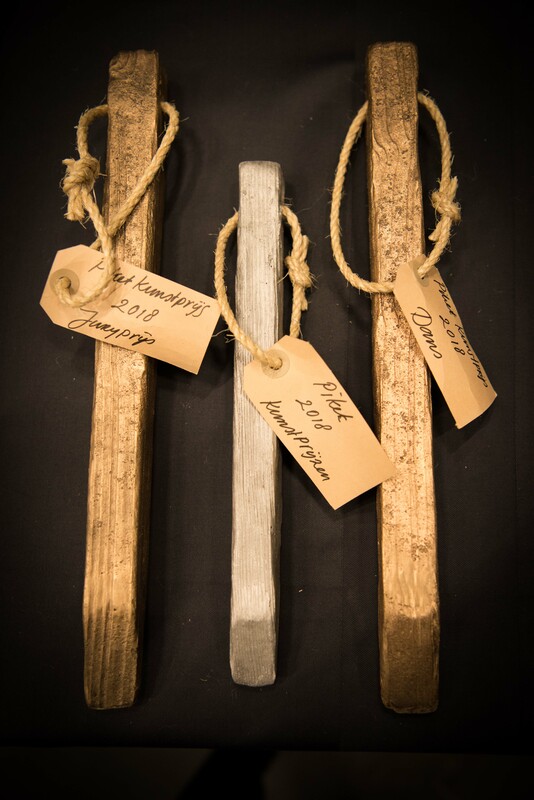 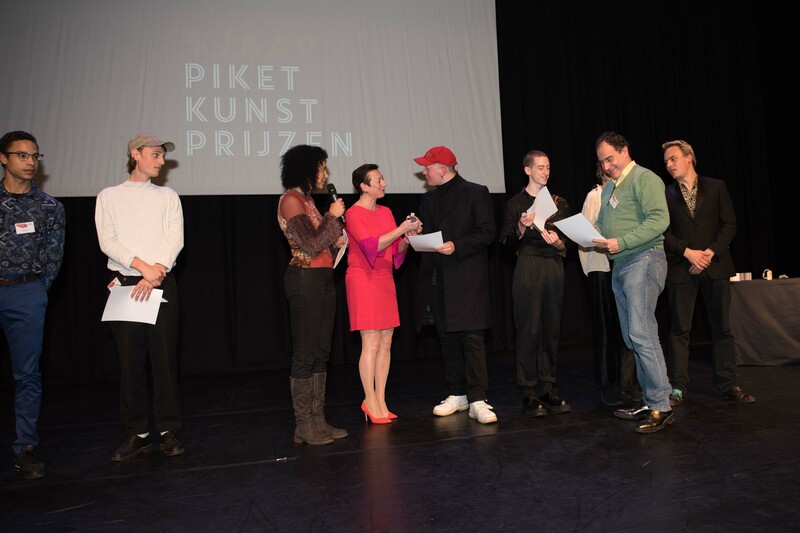 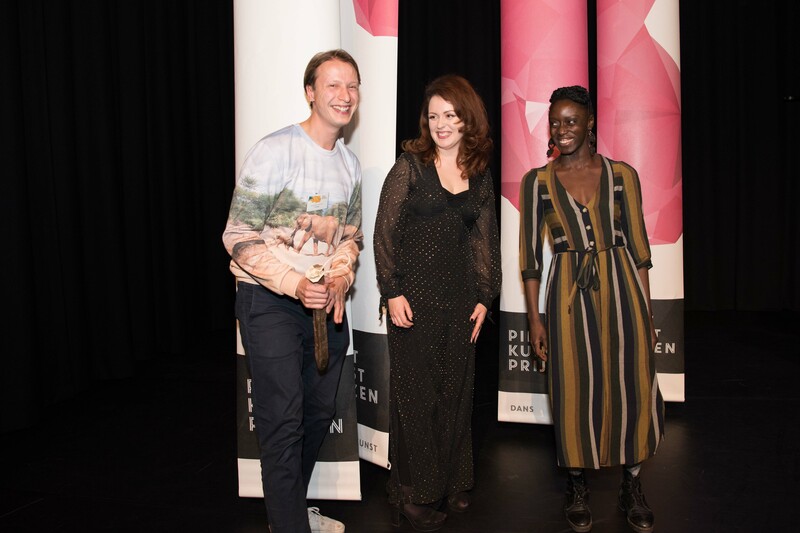 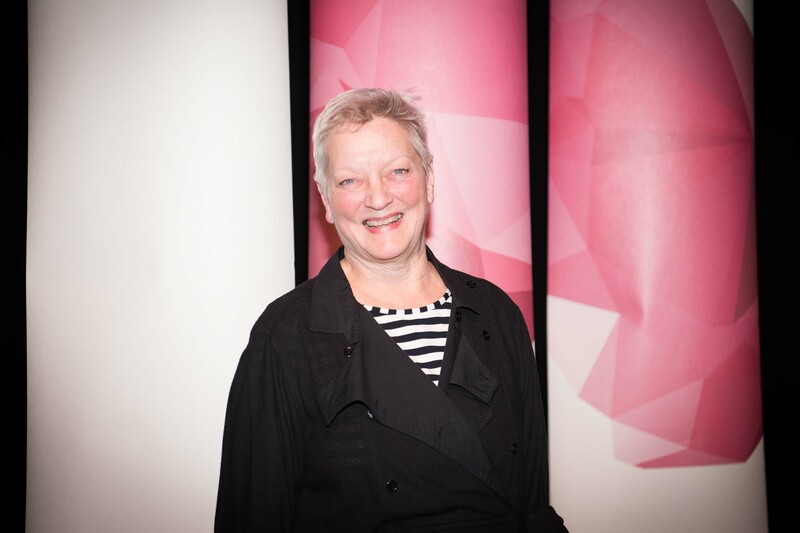 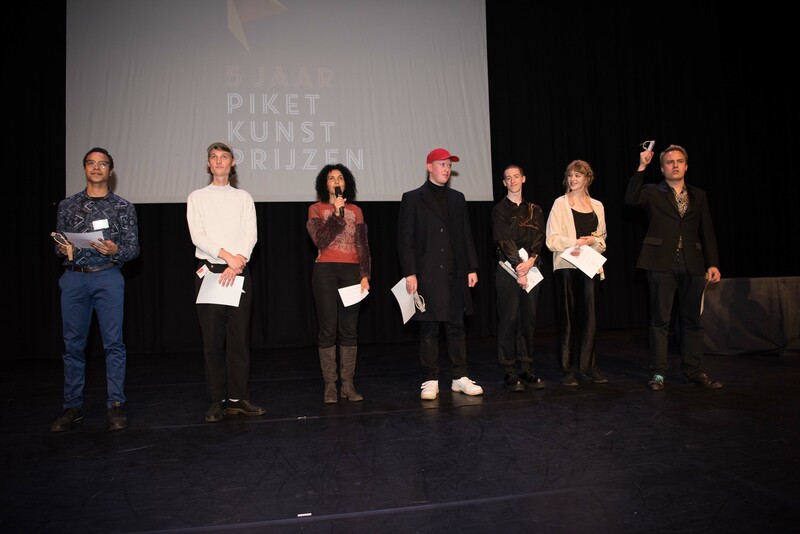 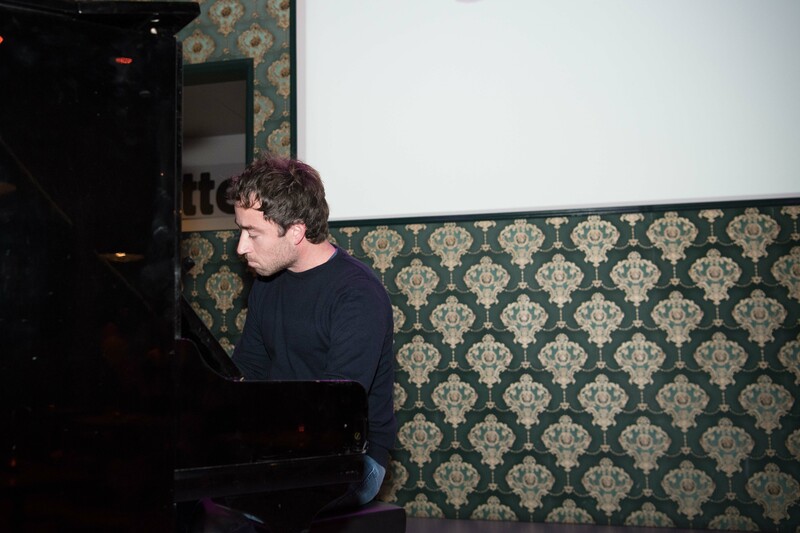 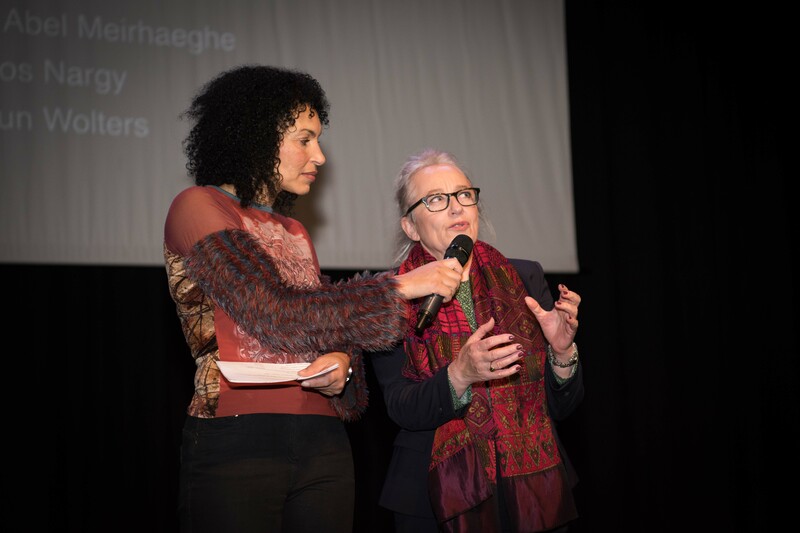 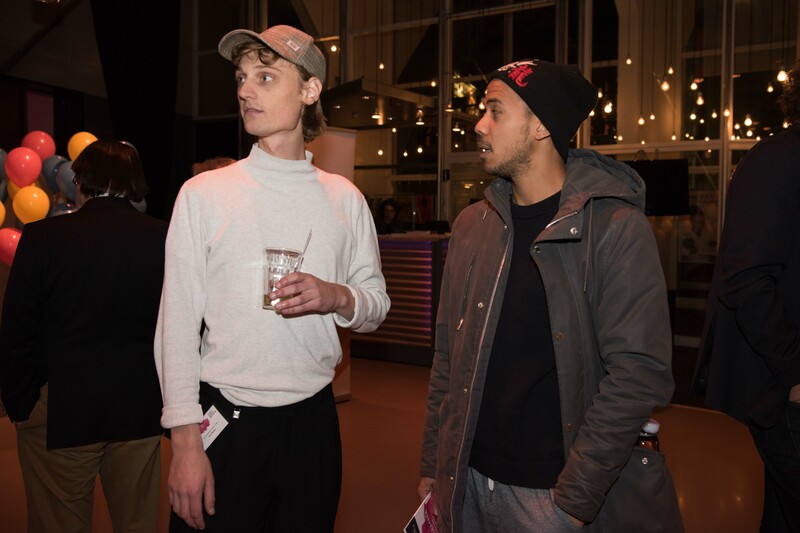 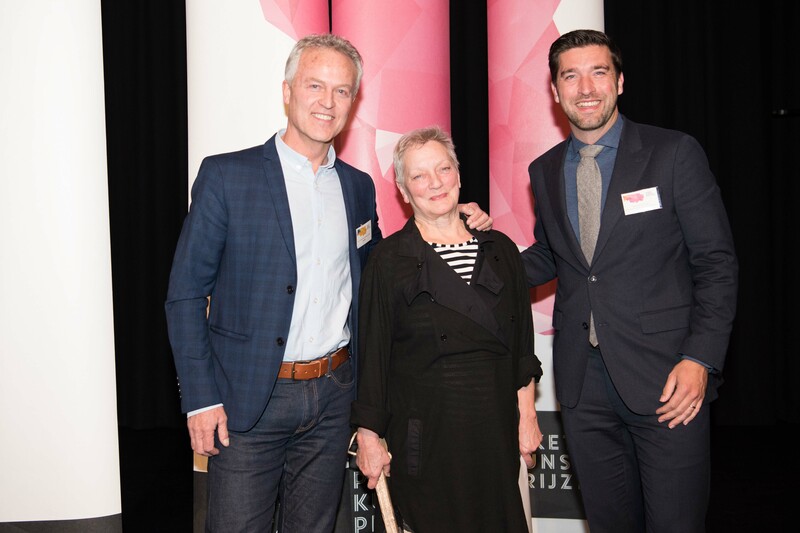 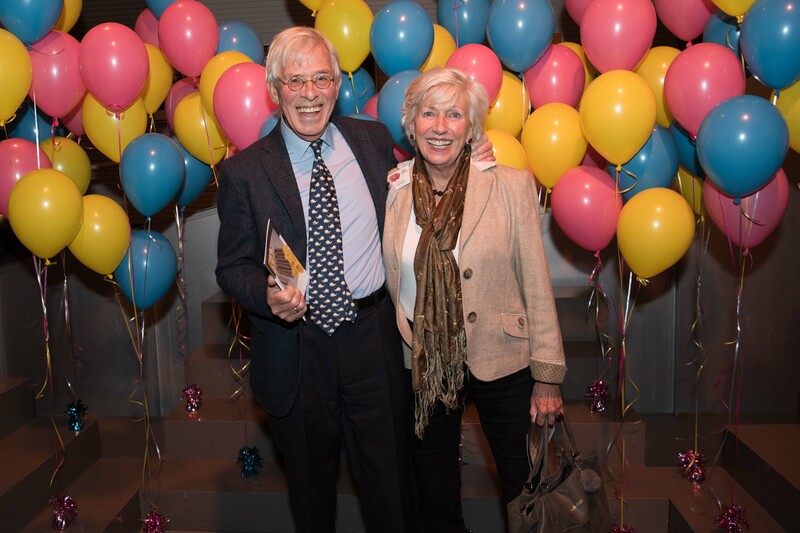 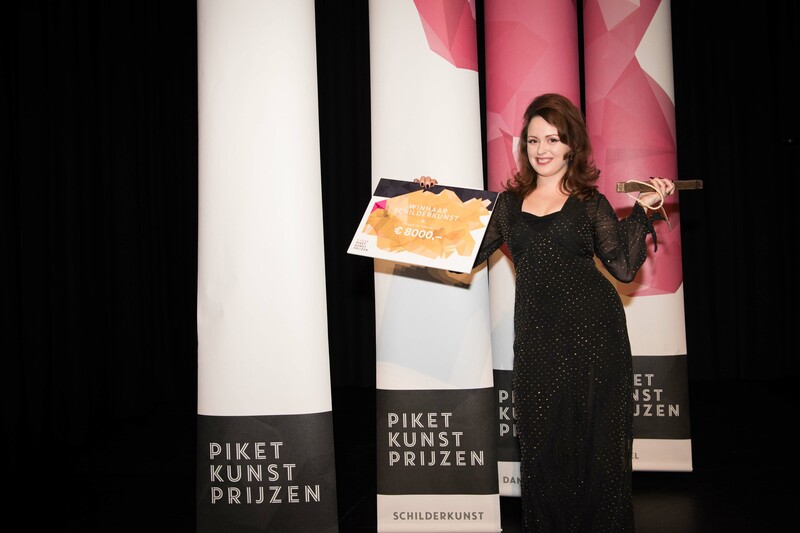 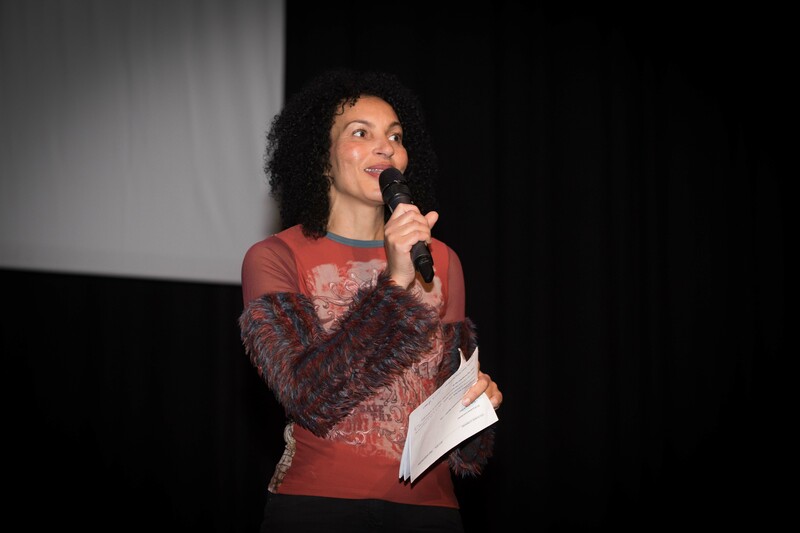 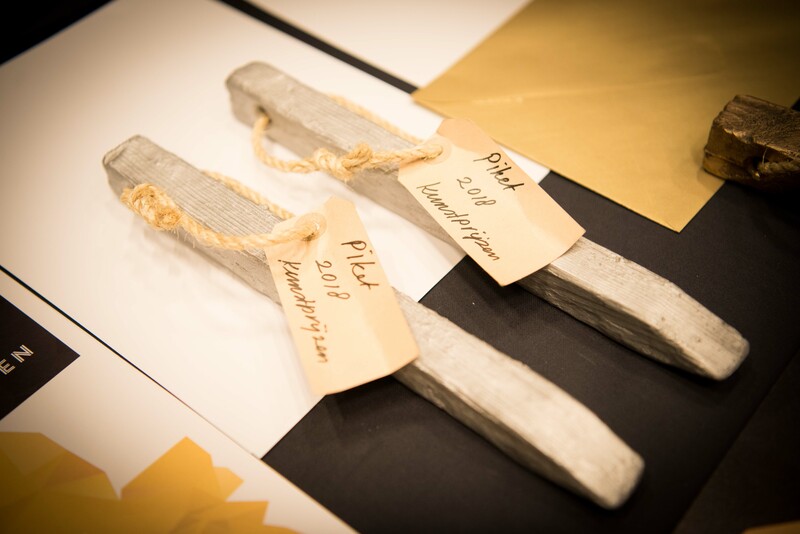 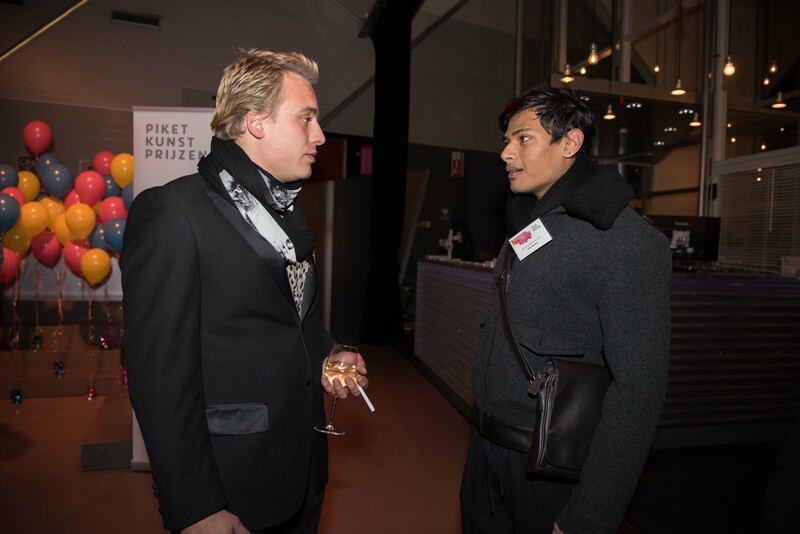 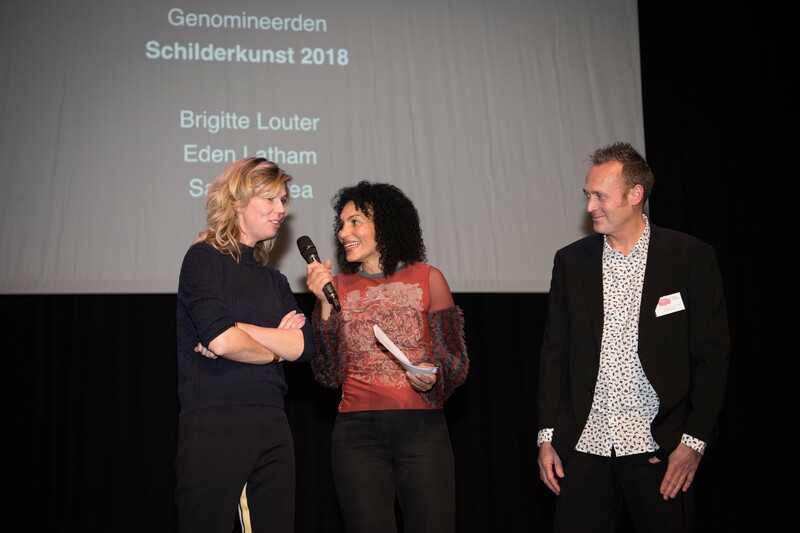 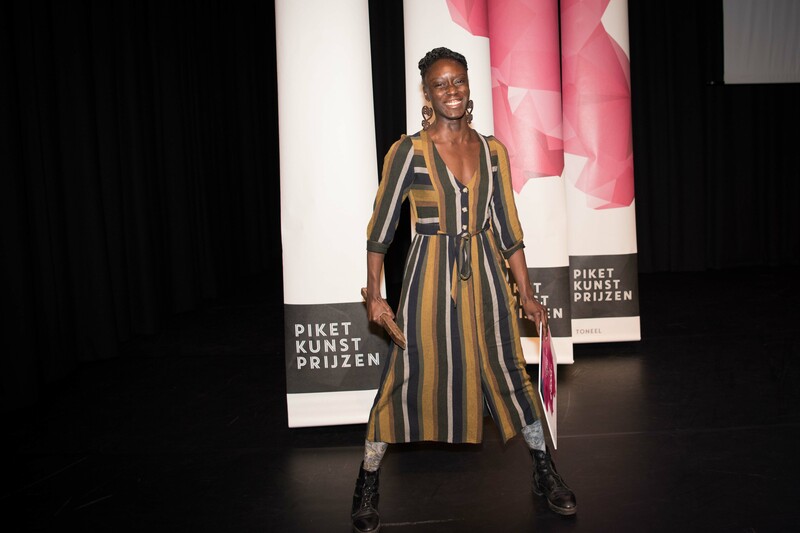 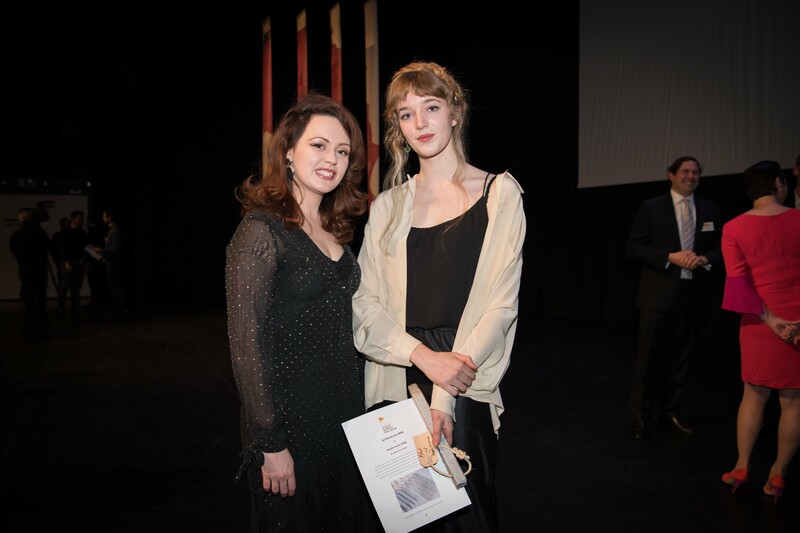 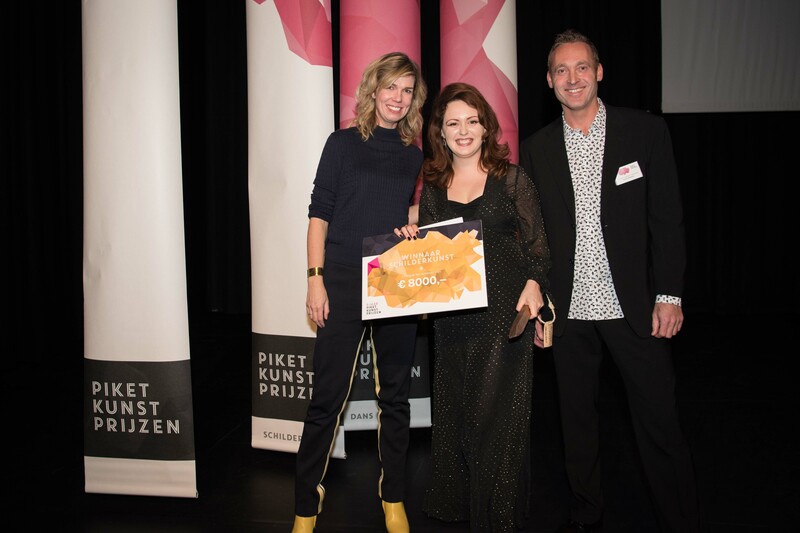 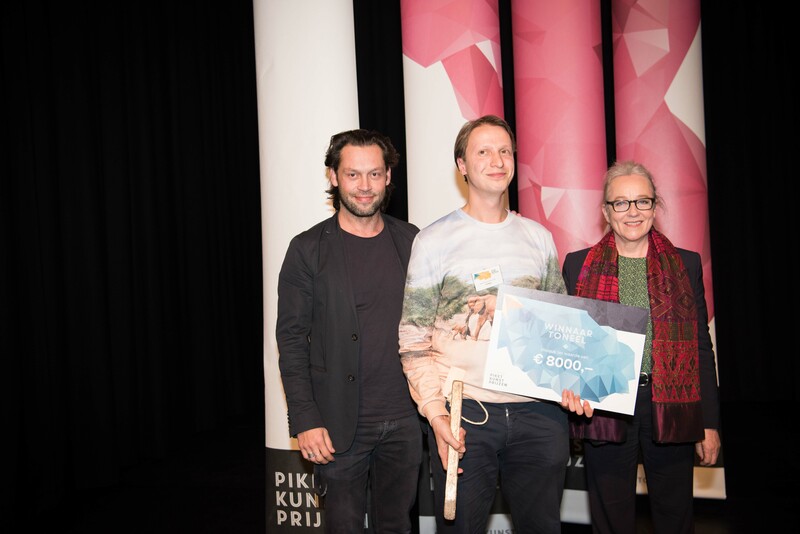 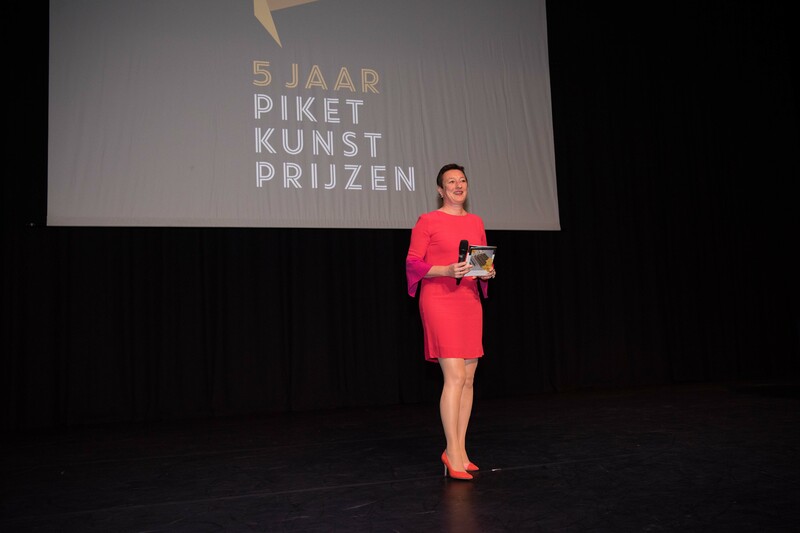 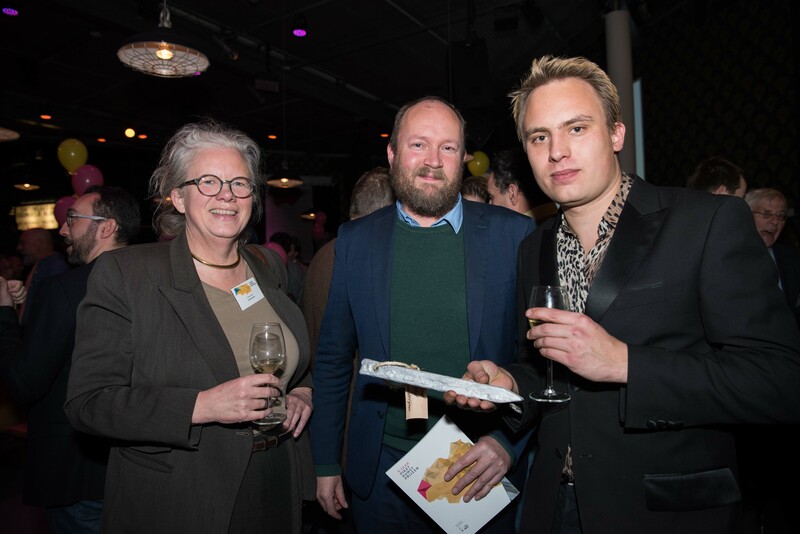 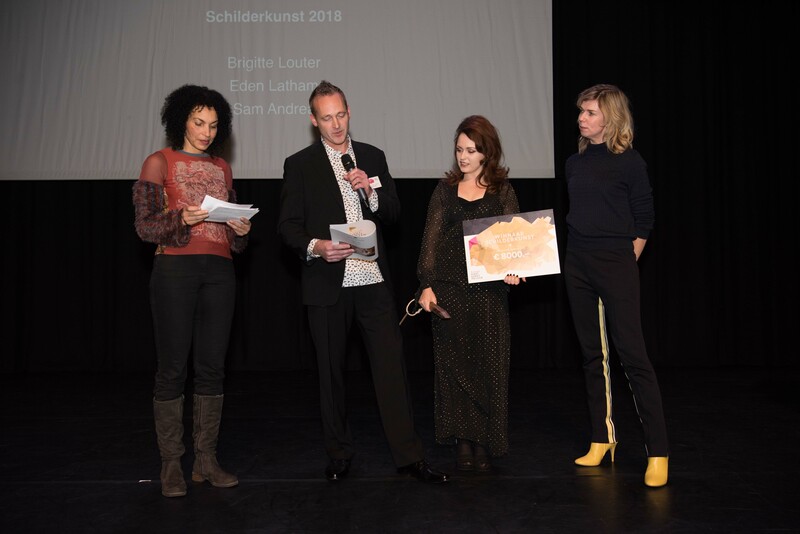 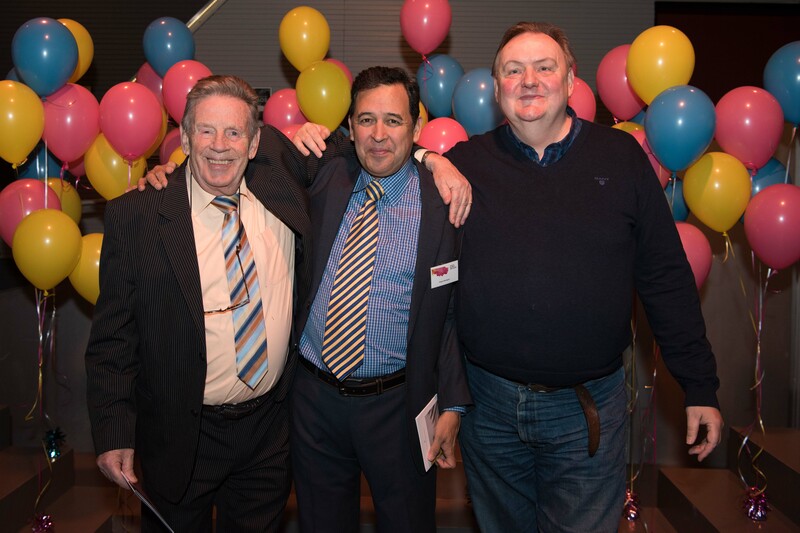 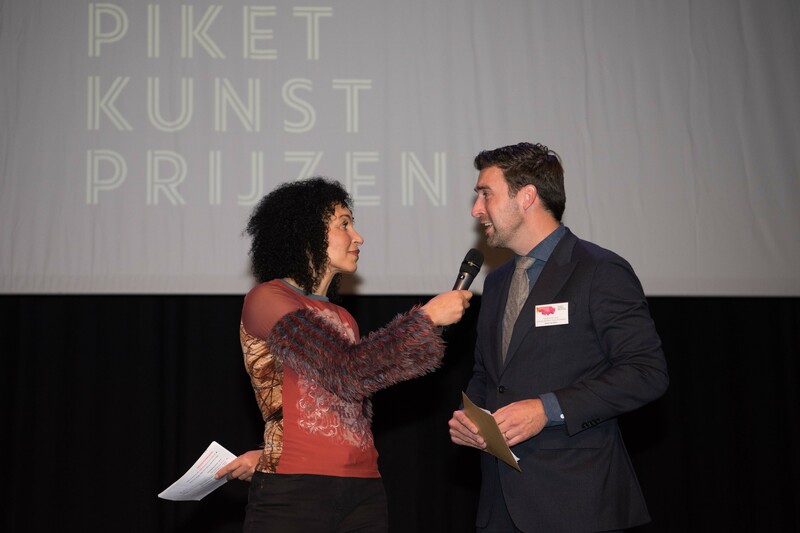 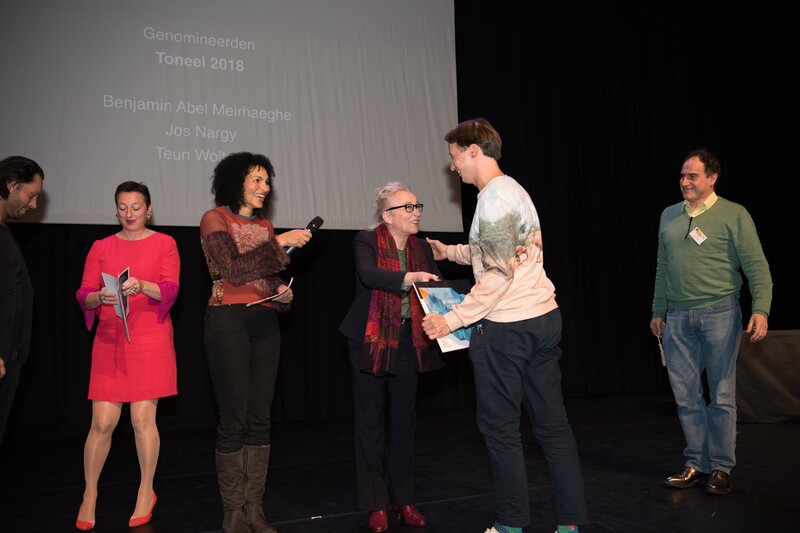 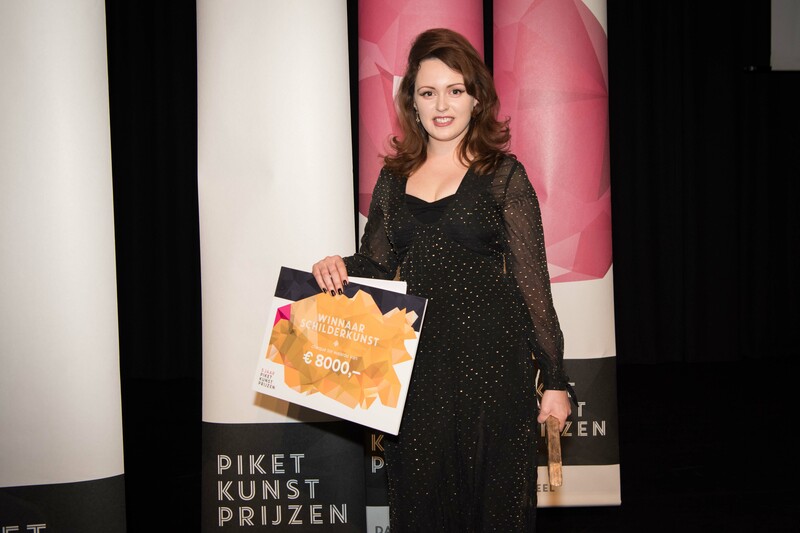 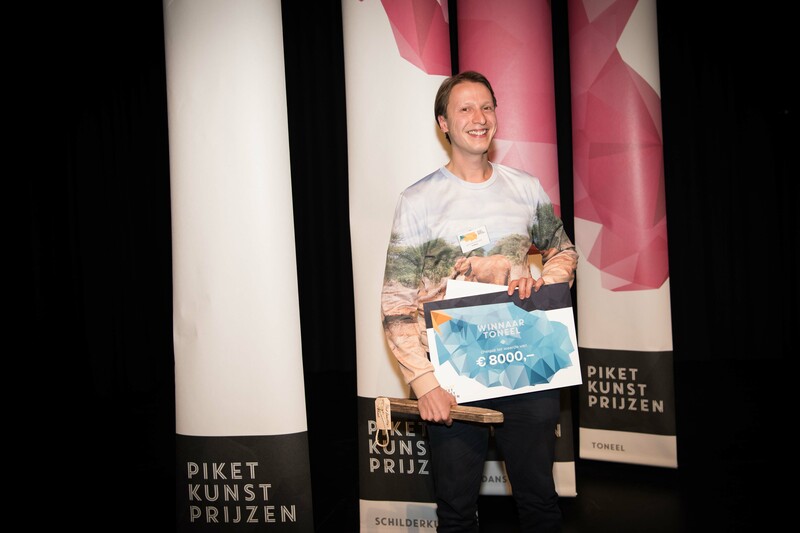 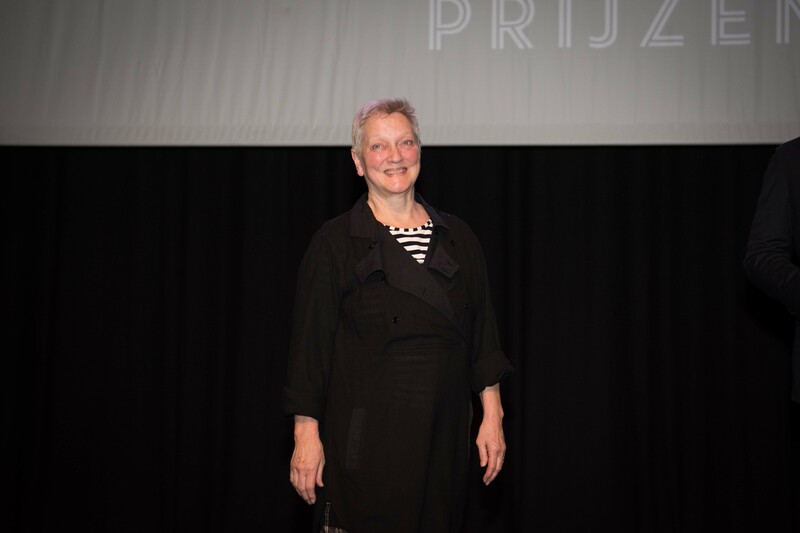 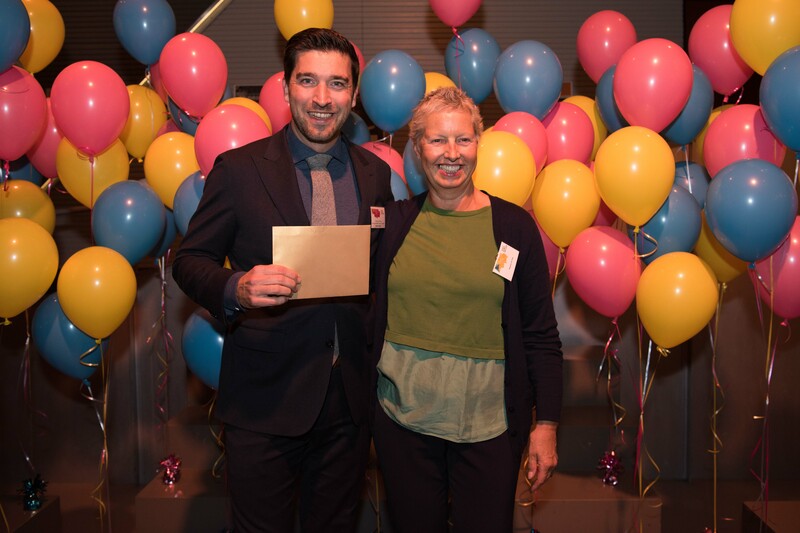 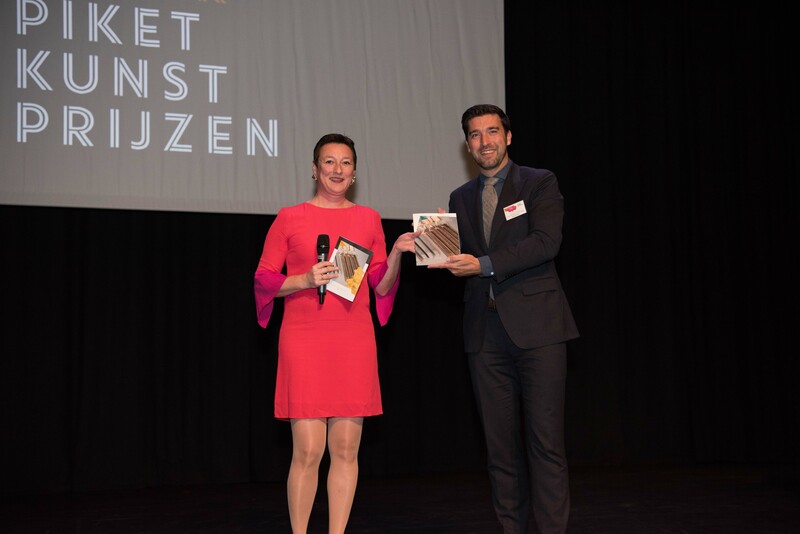 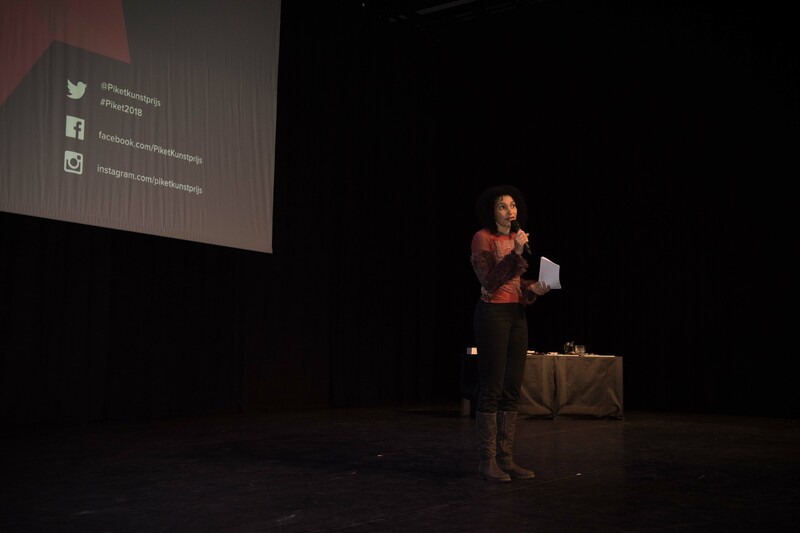 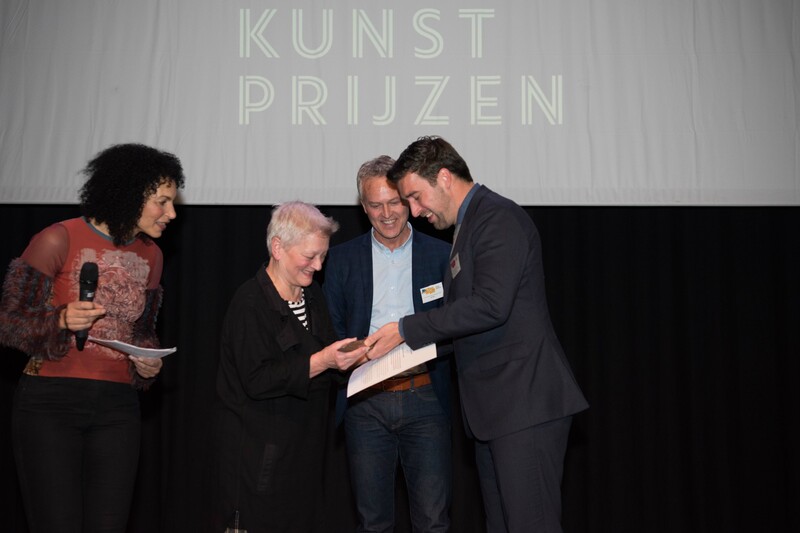 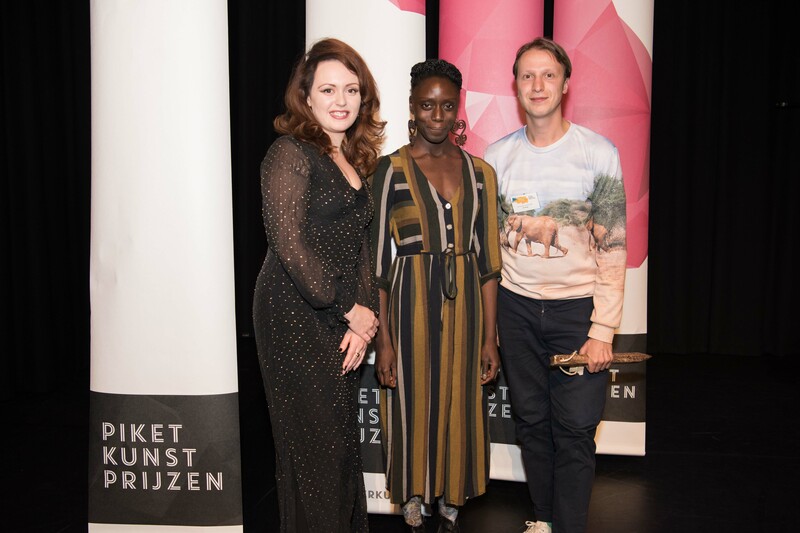 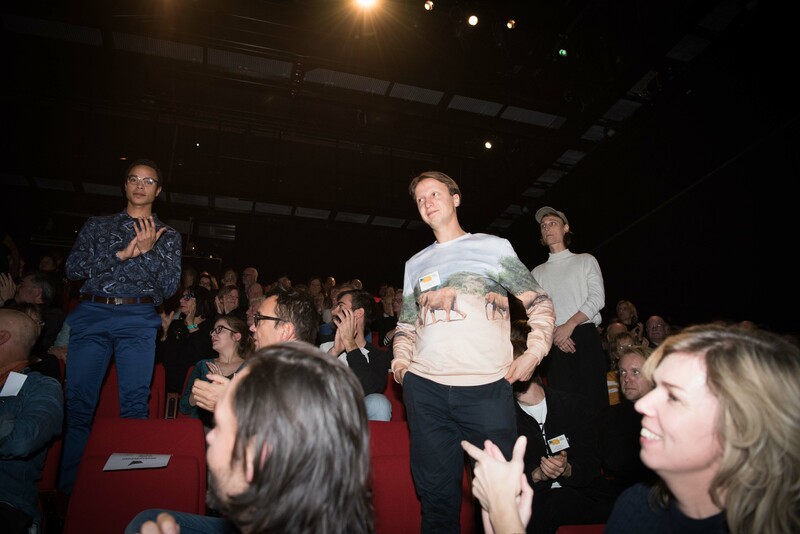 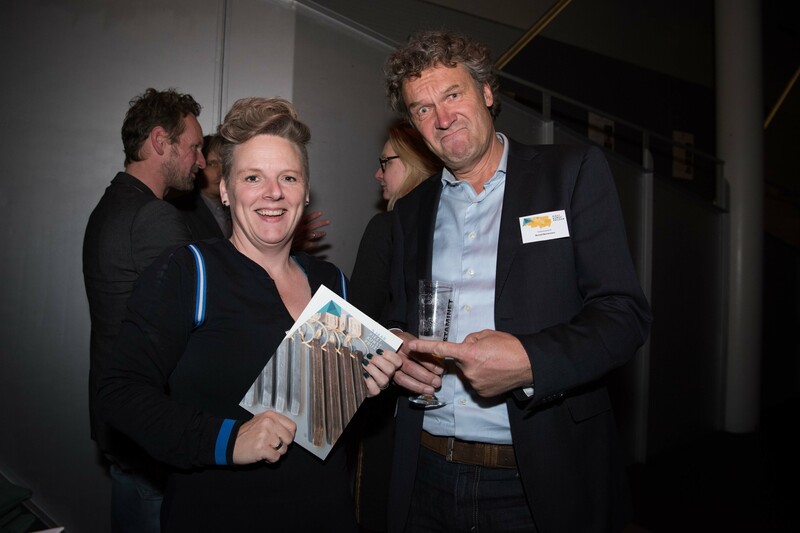 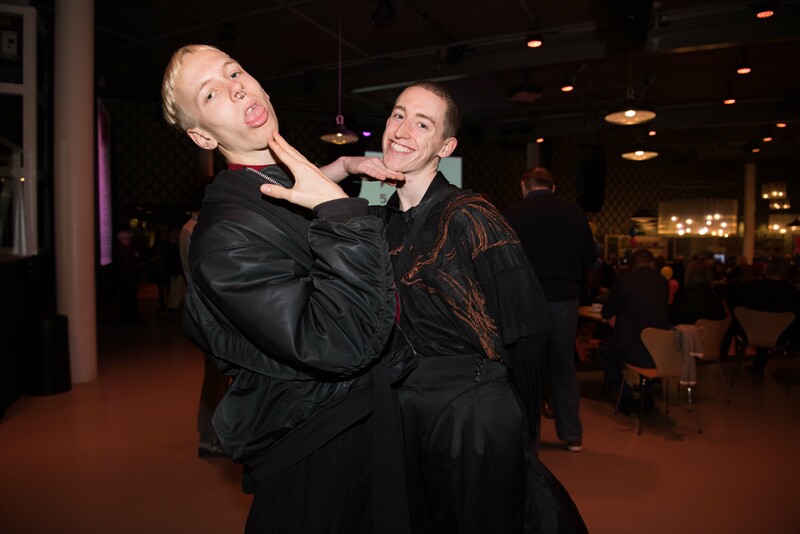 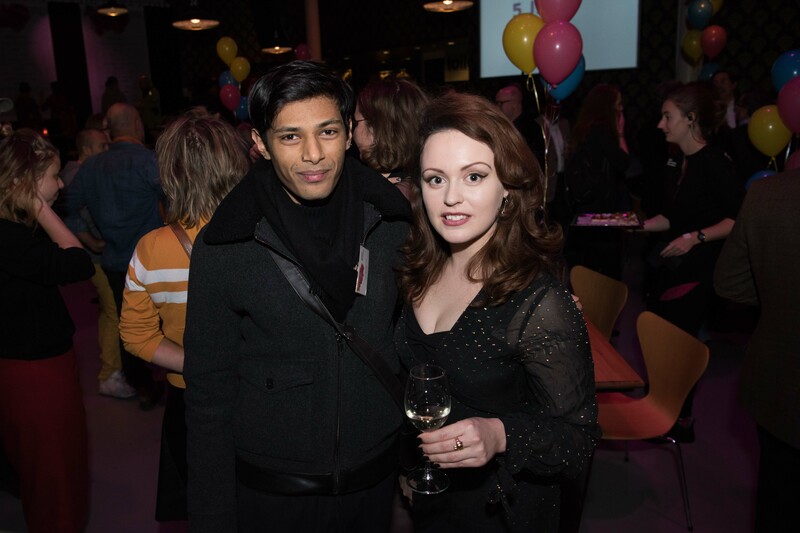 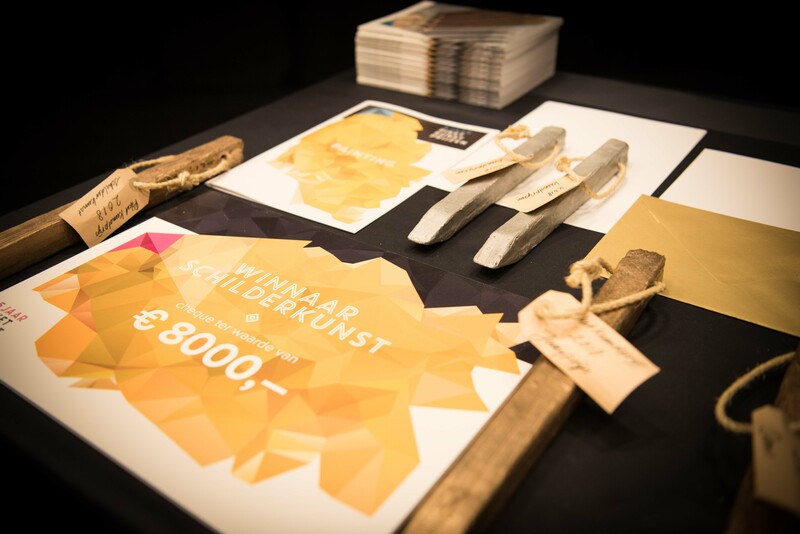 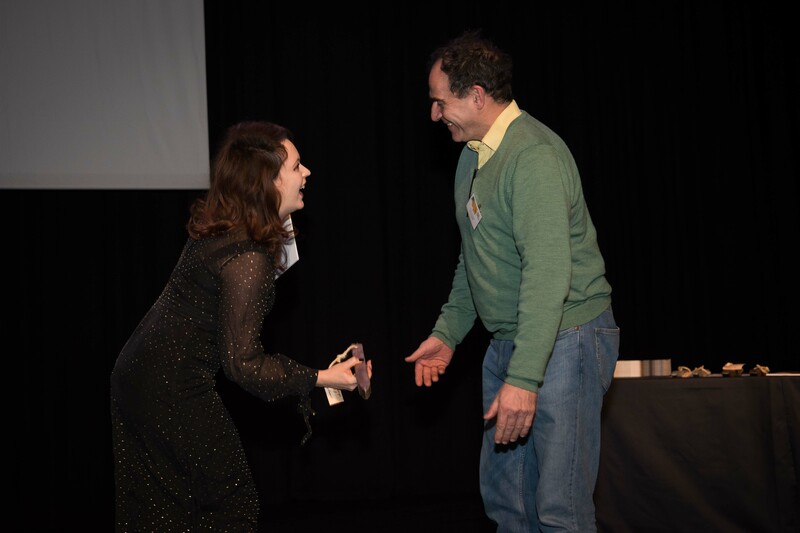 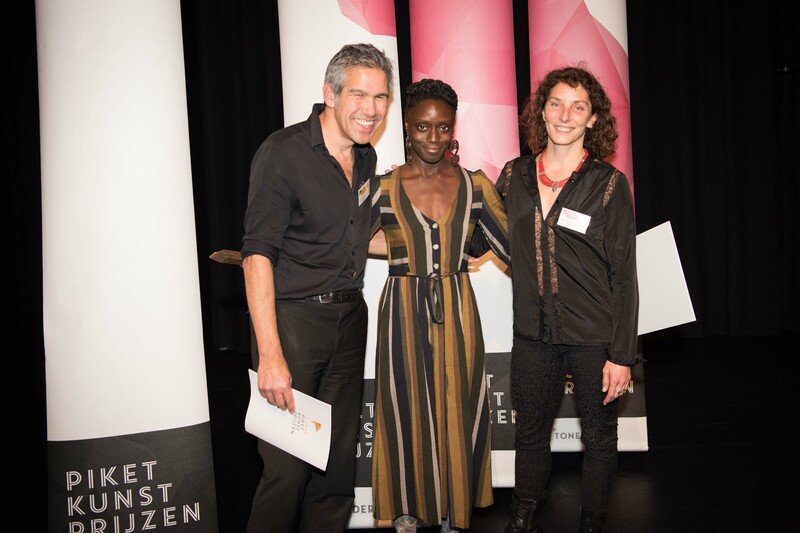 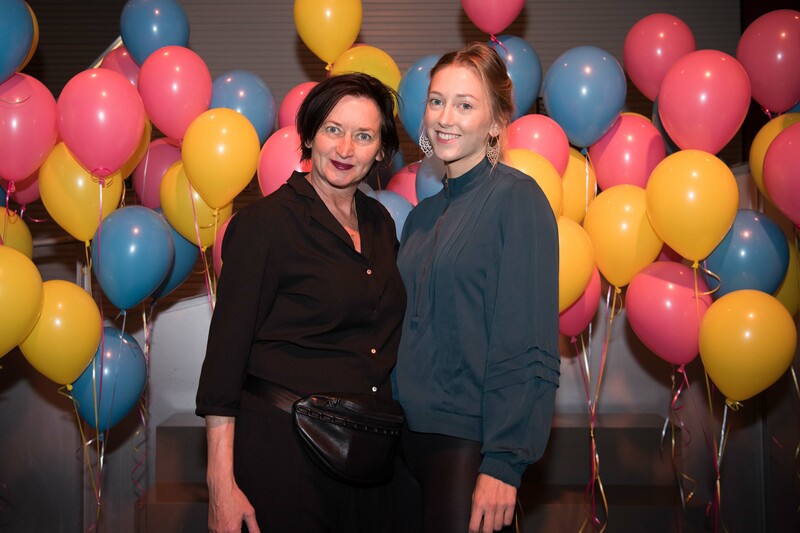 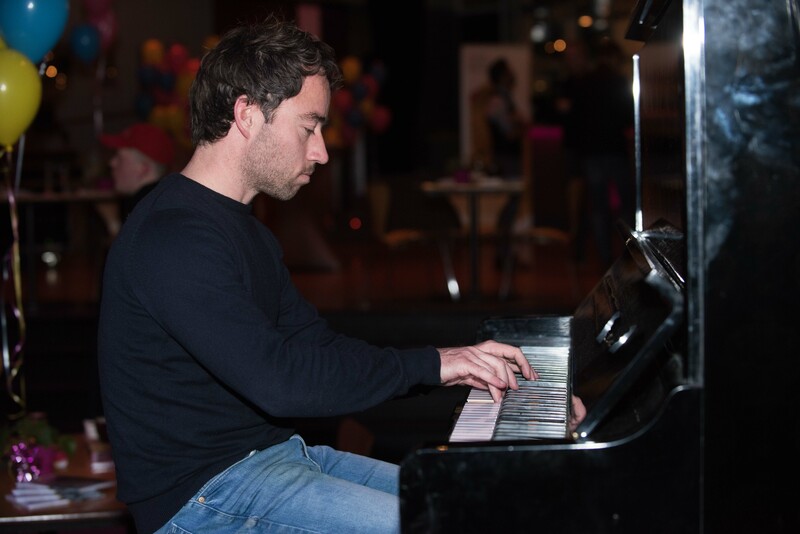 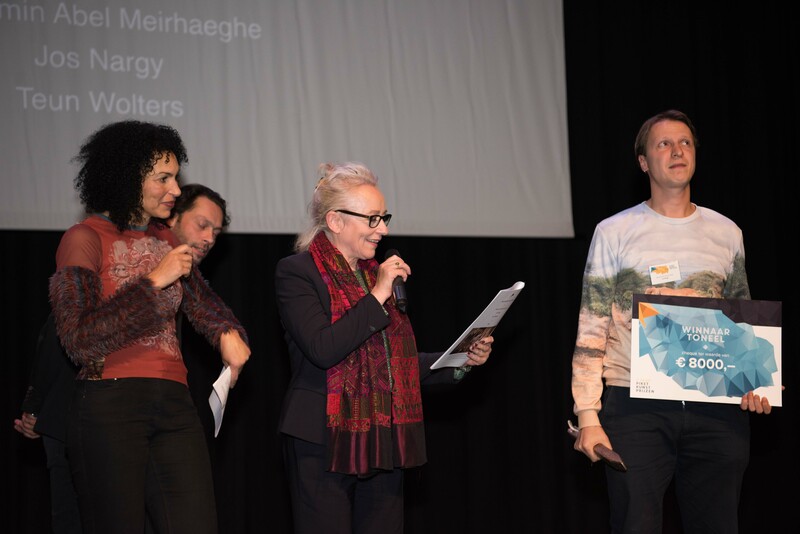 The fifth presentation of the Piket Art Prizes took place on Monday 26 November. 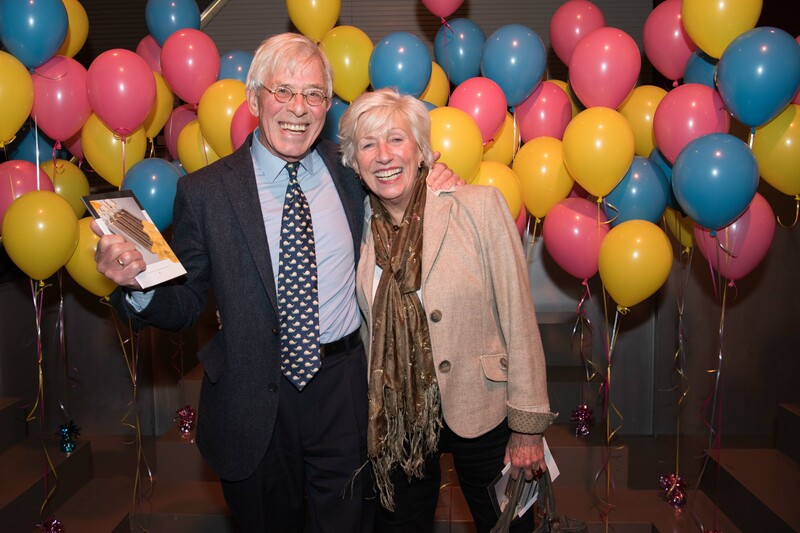 The first jubilee – something special to celebrate! 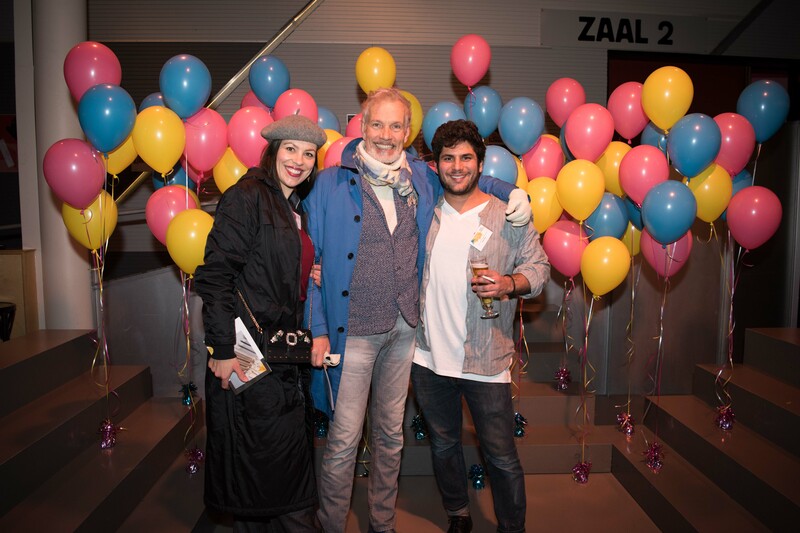 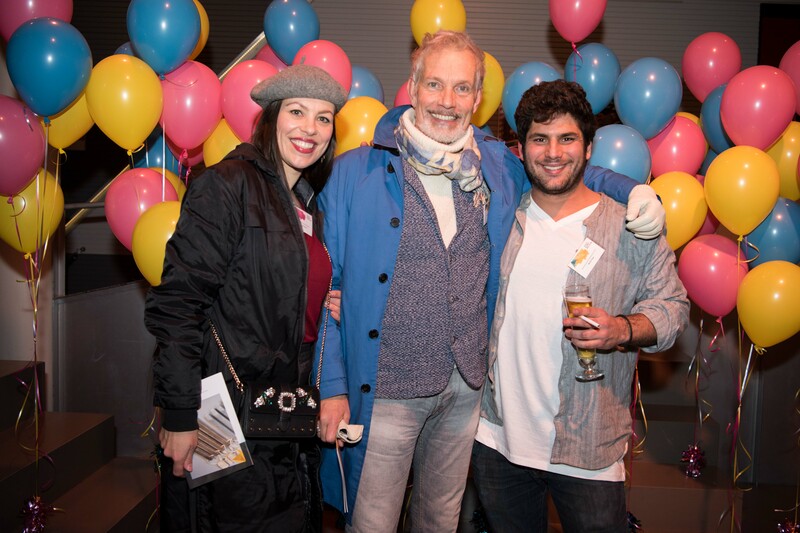 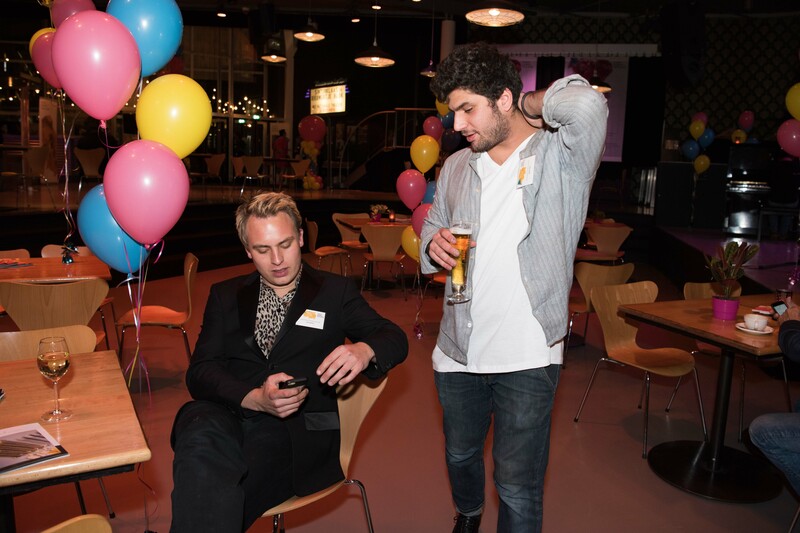 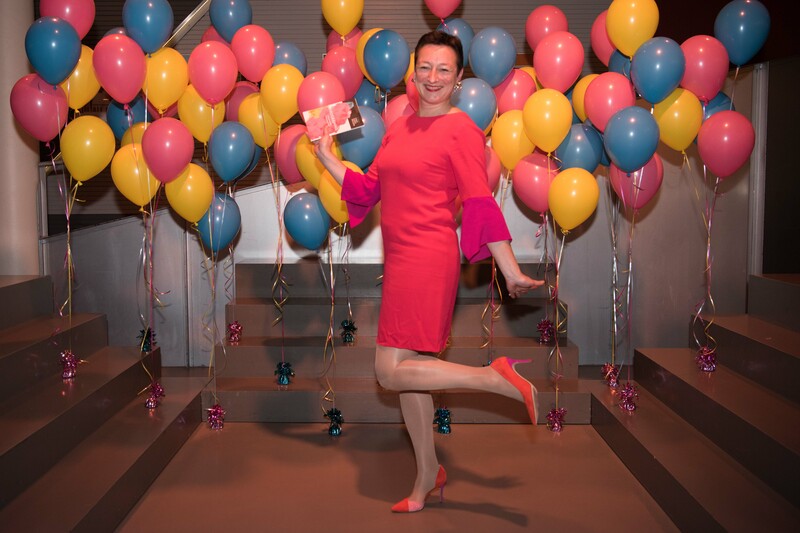 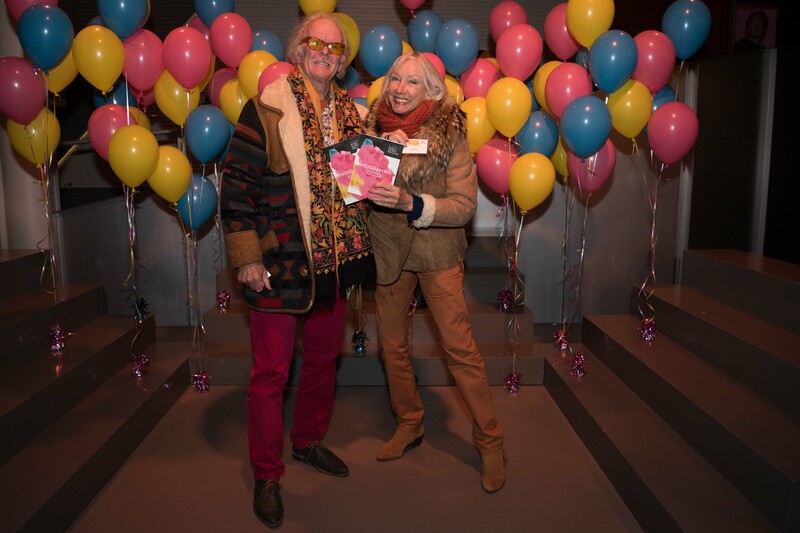 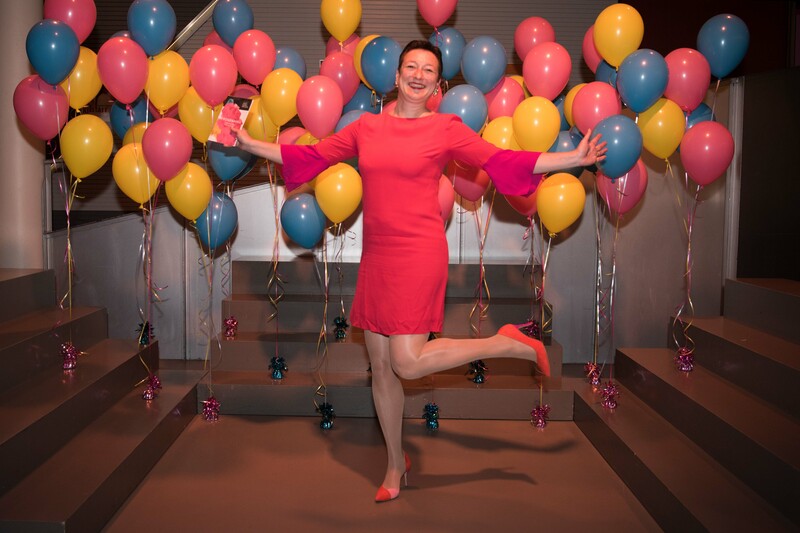 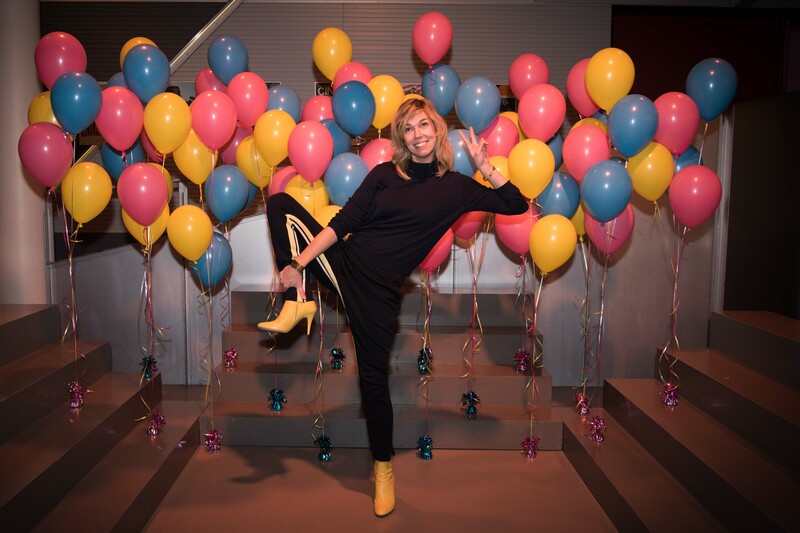 Which is why the foyer of the Theater aan het Spui was decorated with balloons in Piket colours. 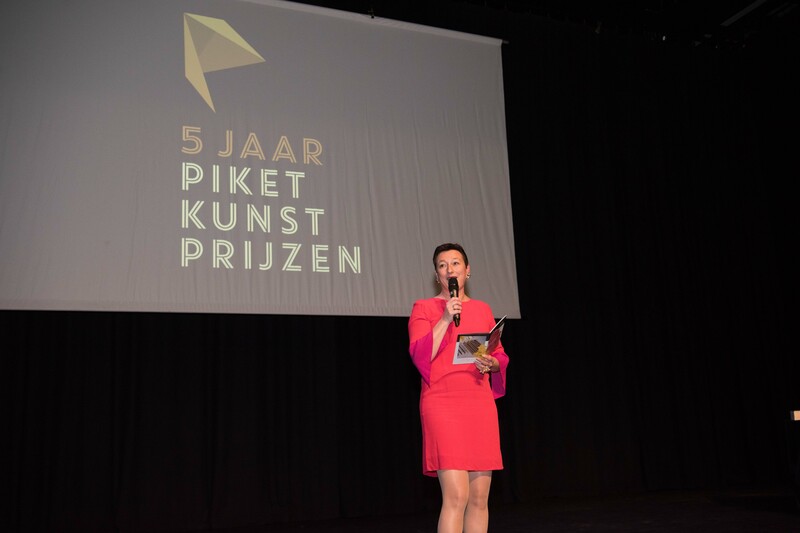 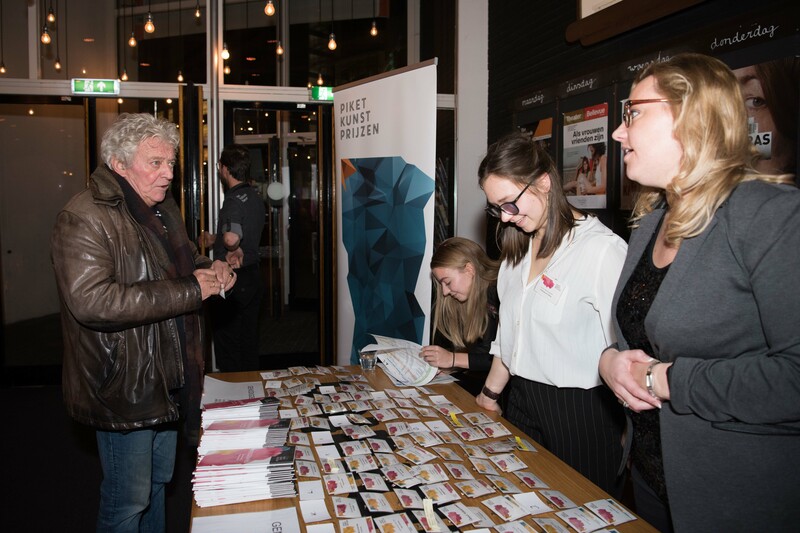 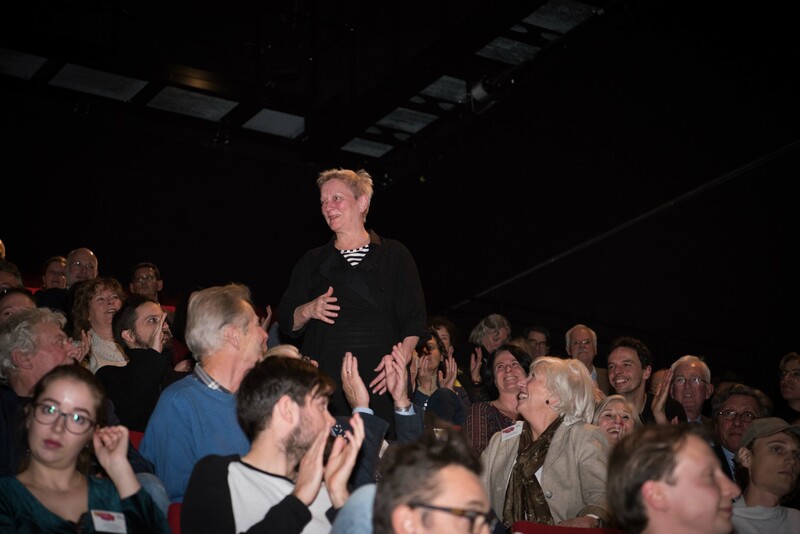 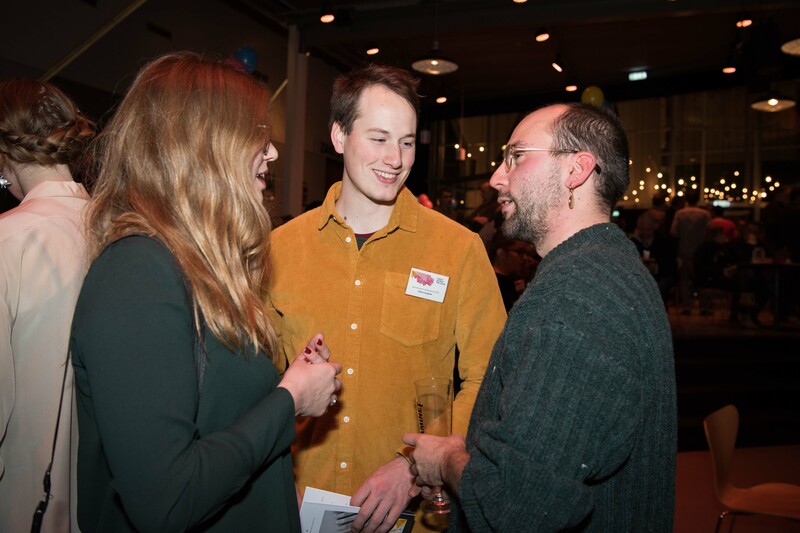 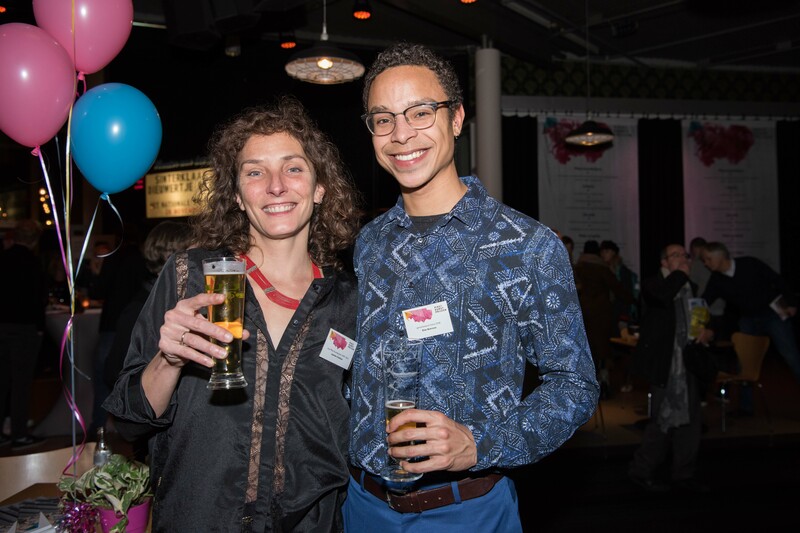 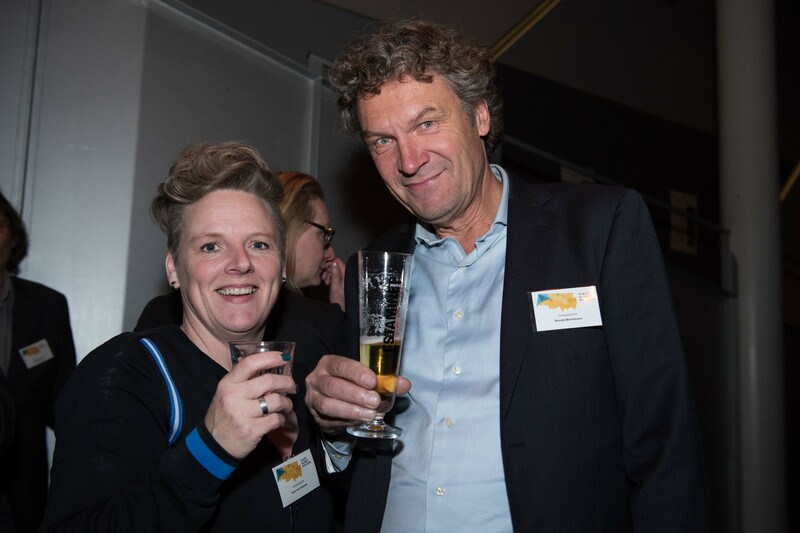 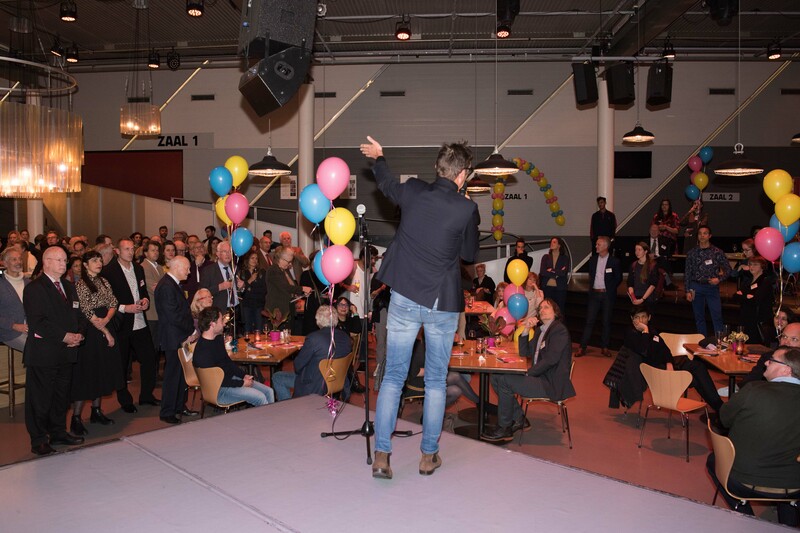 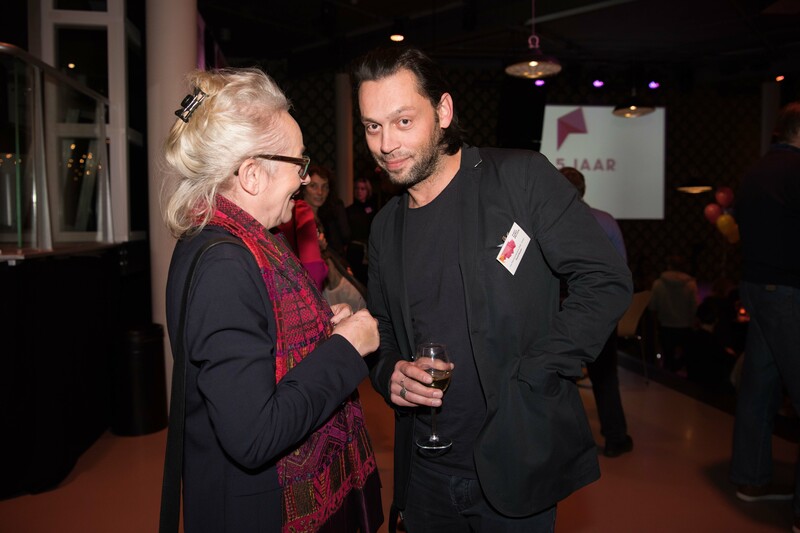 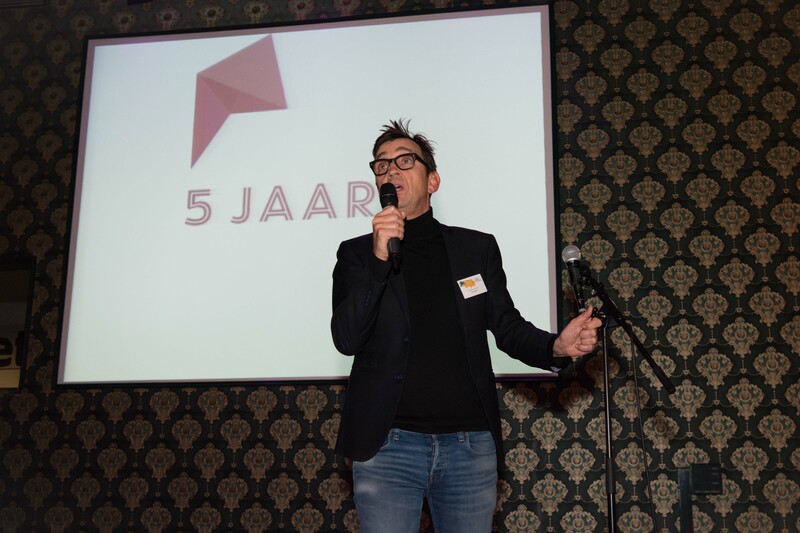 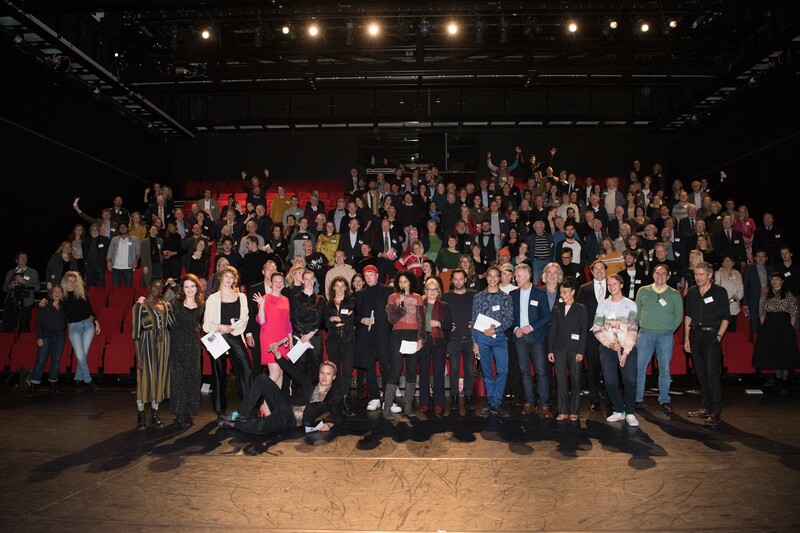 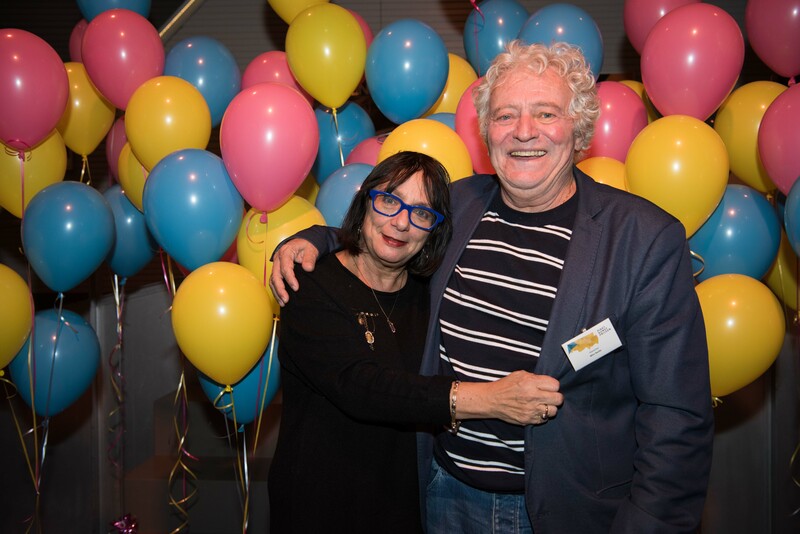 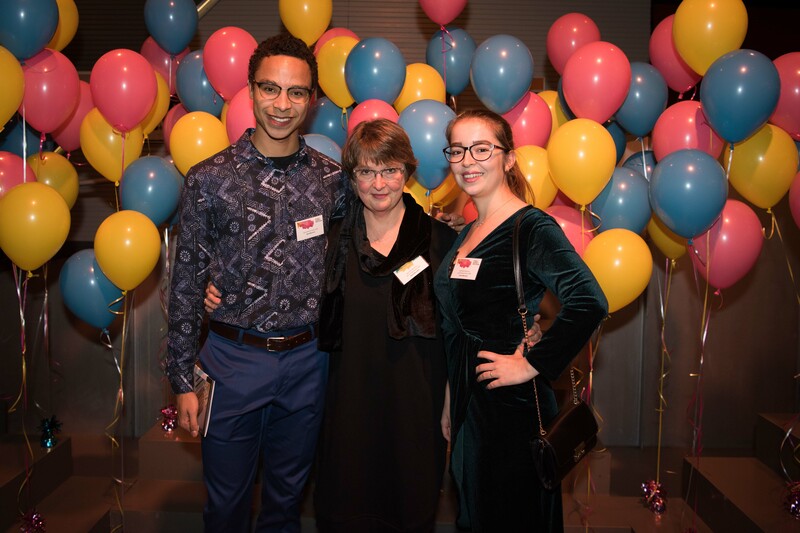 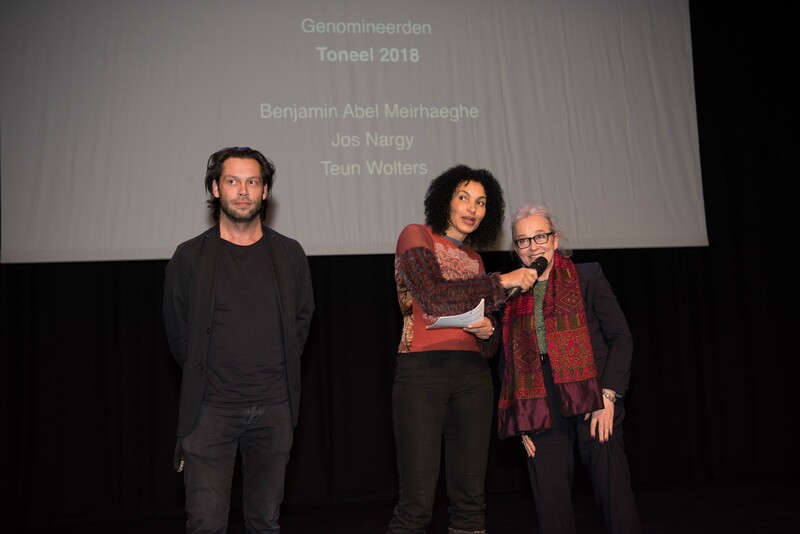 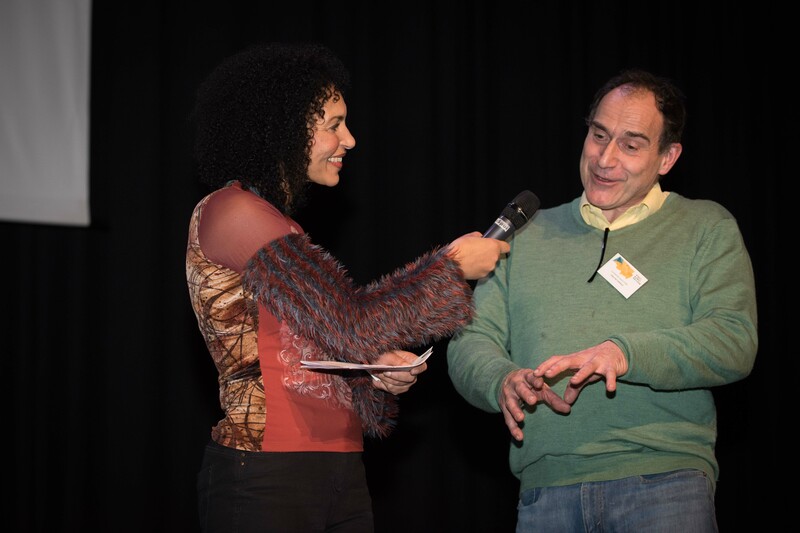 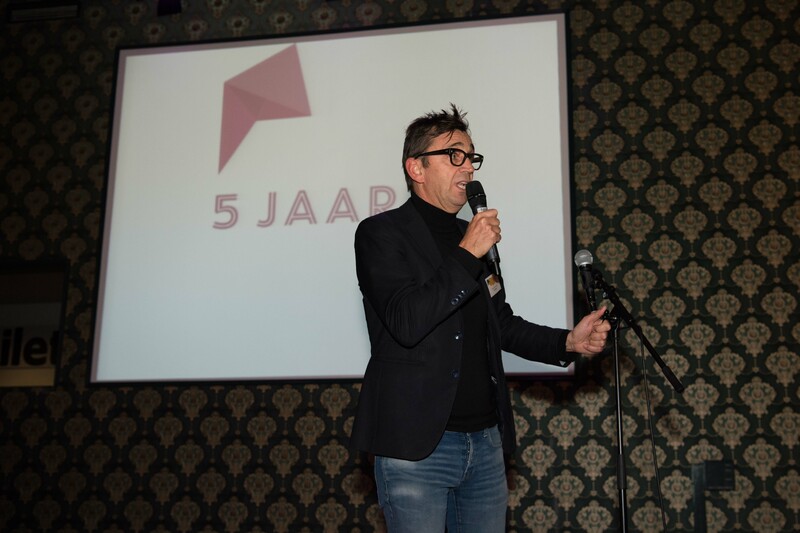 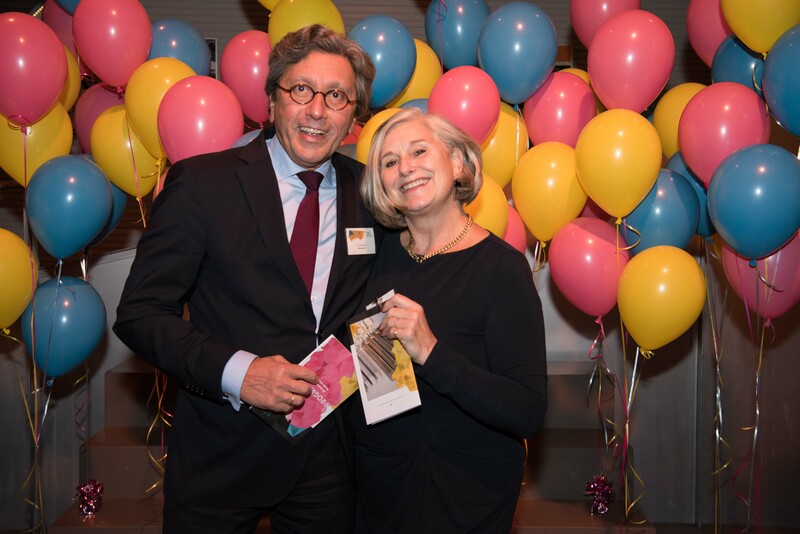 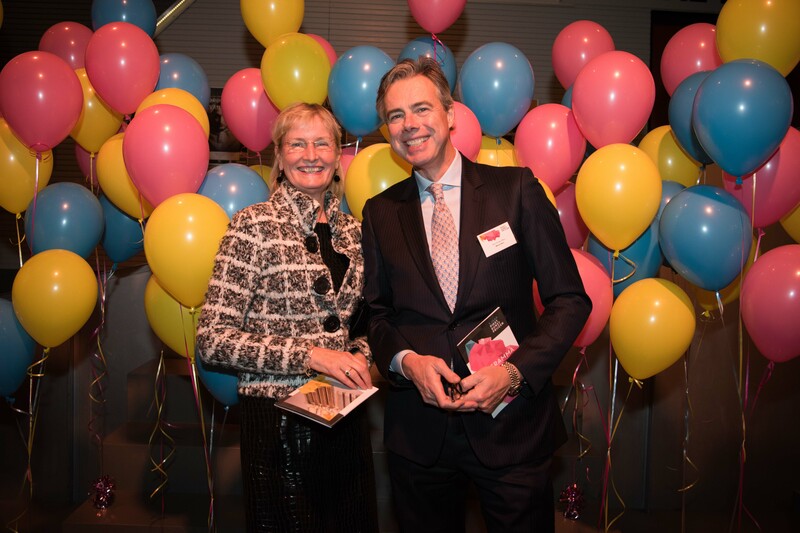 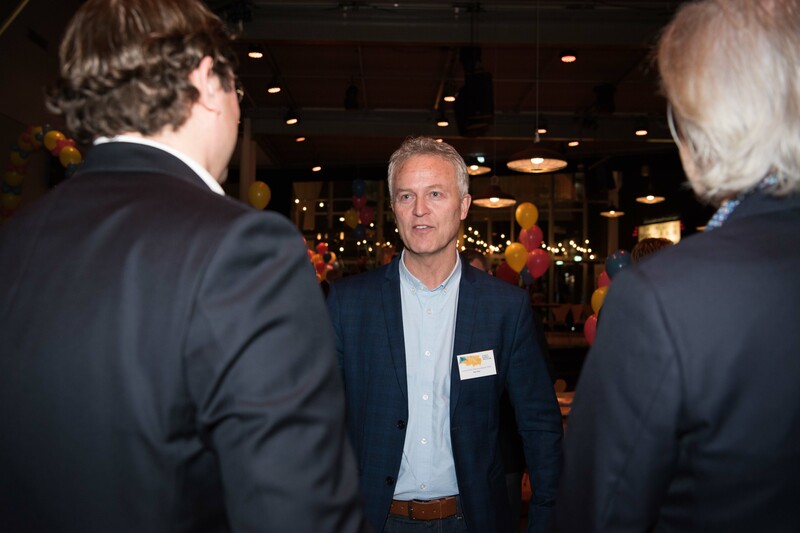 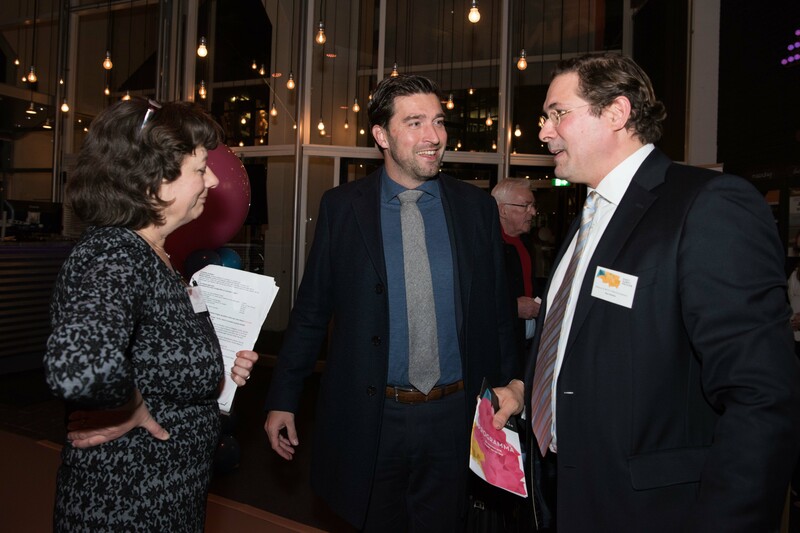 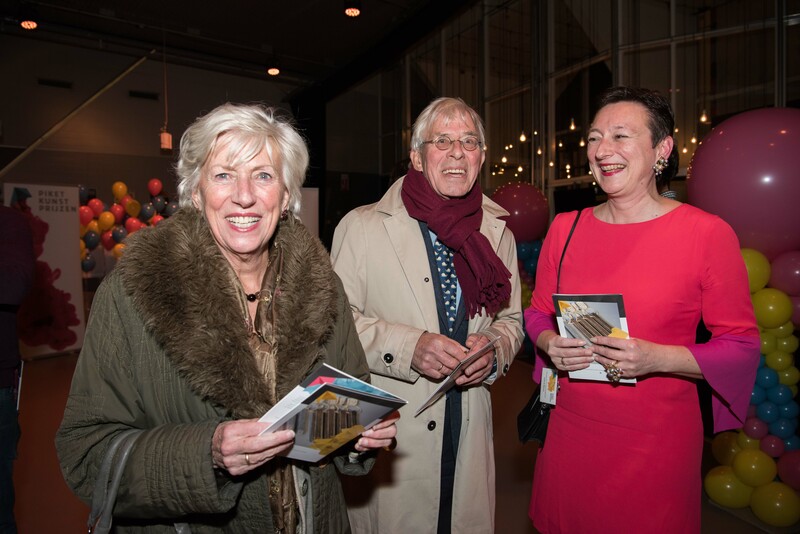 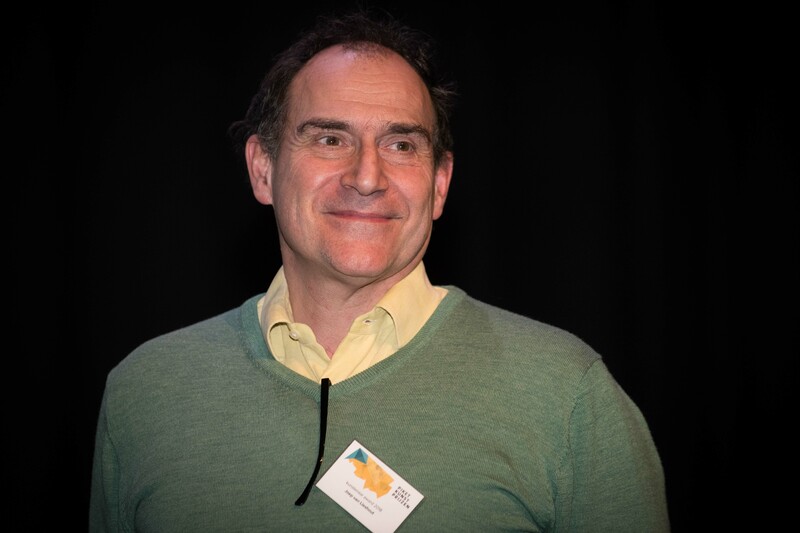 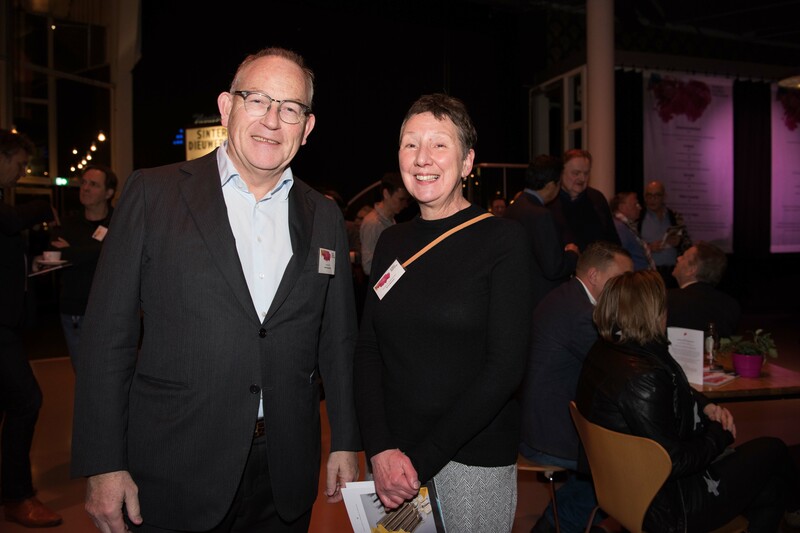 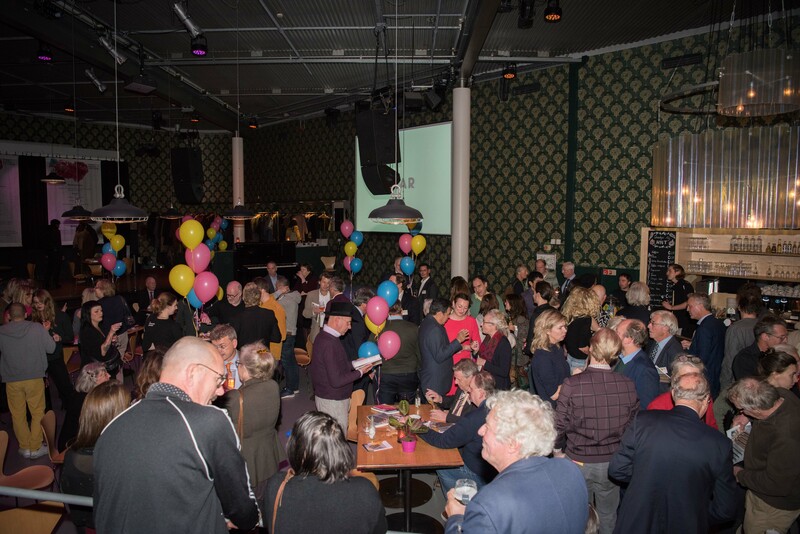 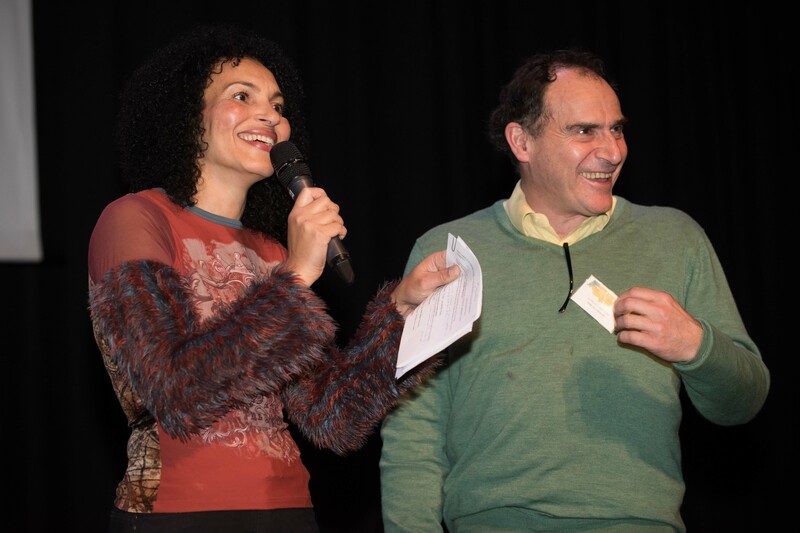 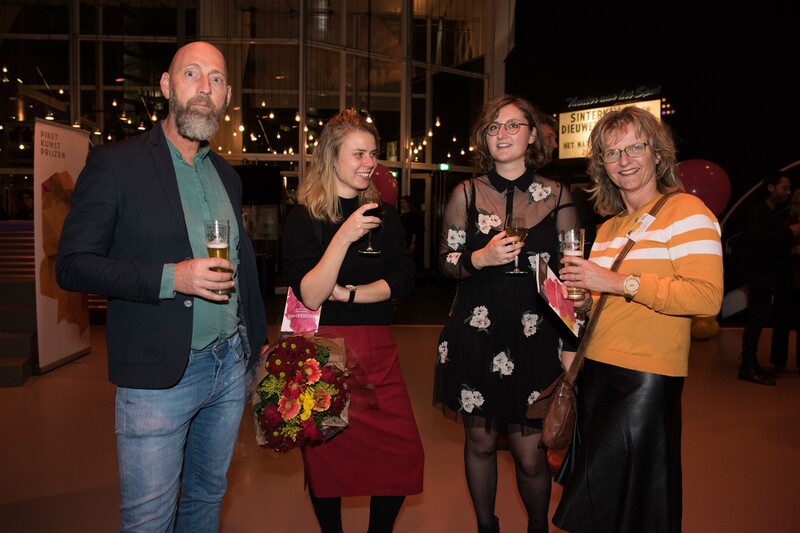 Cees Debets, director of Het Nationale Theater, welcomed the more than 250 invited guests, wishing the nominees good luck. 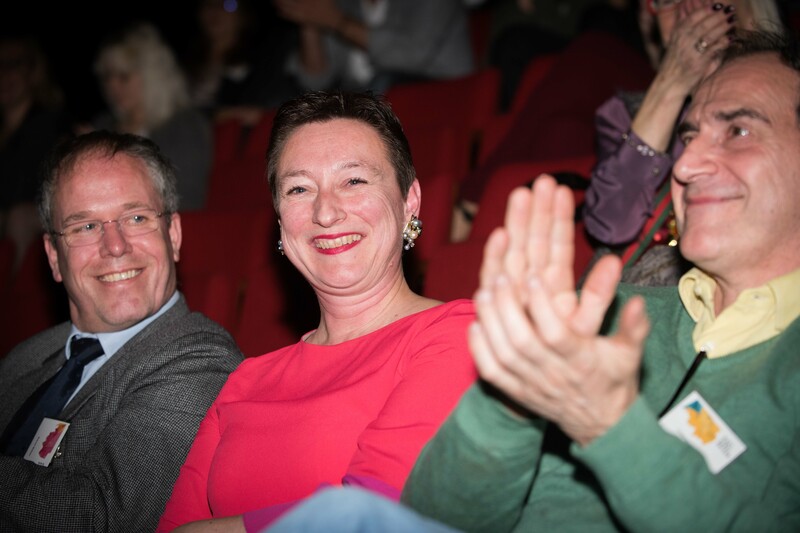 The whole excited company then went to the auditorium for the presentation ceremony. 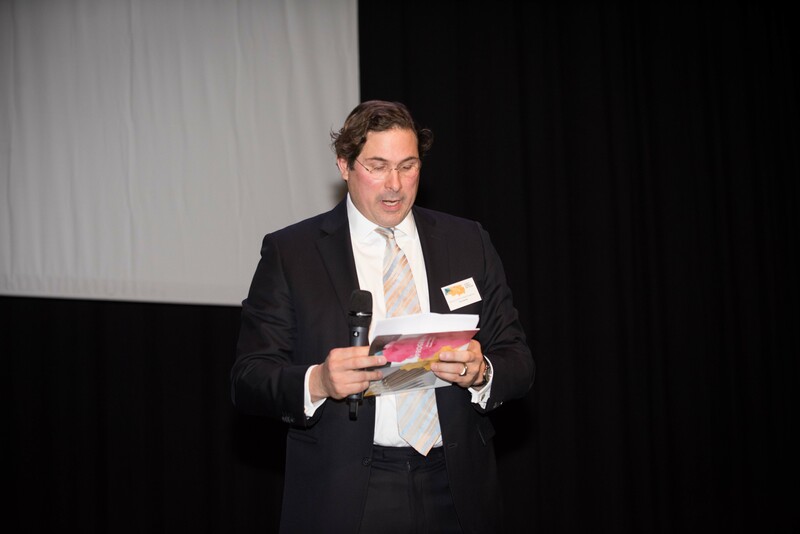 Taco Hovius, chairman of the board of the Mr F.H. 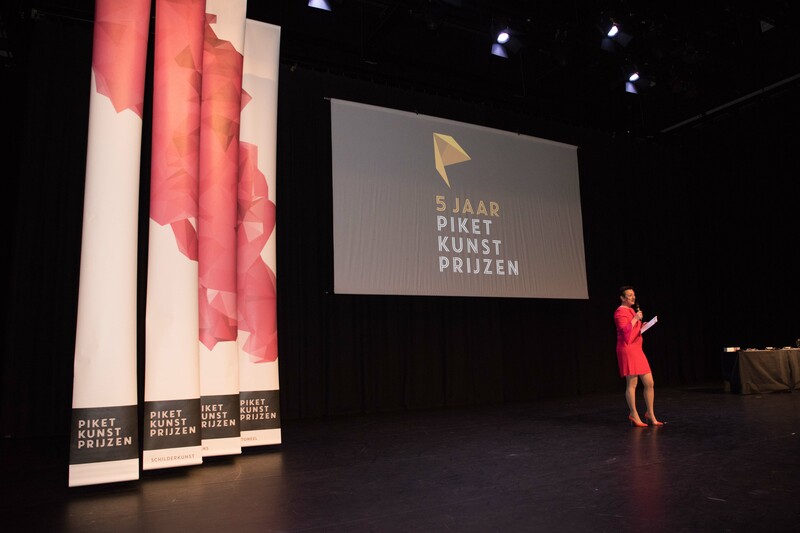 Piket Foundation, explained that Mr Piket was thoroughly convinced of the importance of the arts and especially of young artists, and wished to extend his support beyond his own existence. 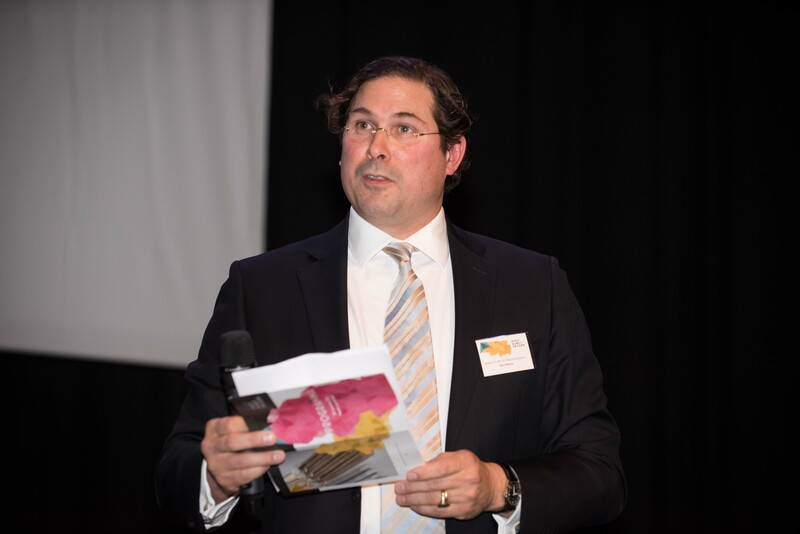 This is still the aim of the Foundation, and it is for this reason that it applied for and obtained the special fiscal status known as ANBI. 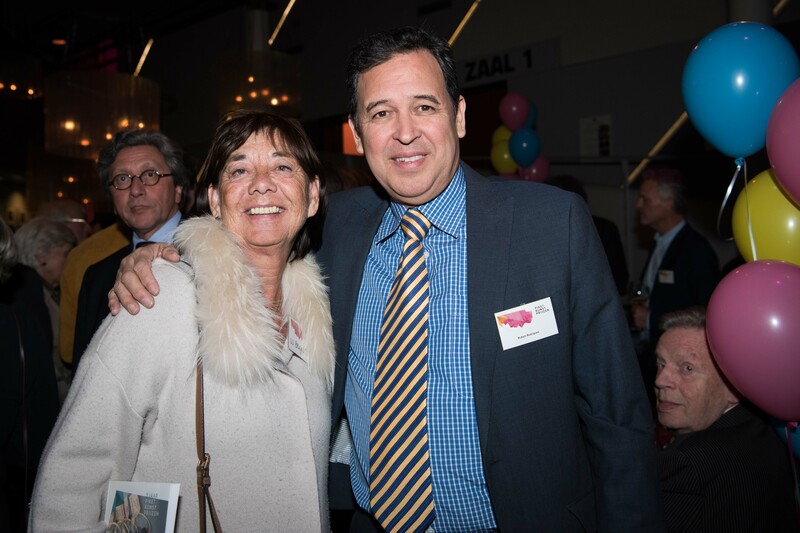 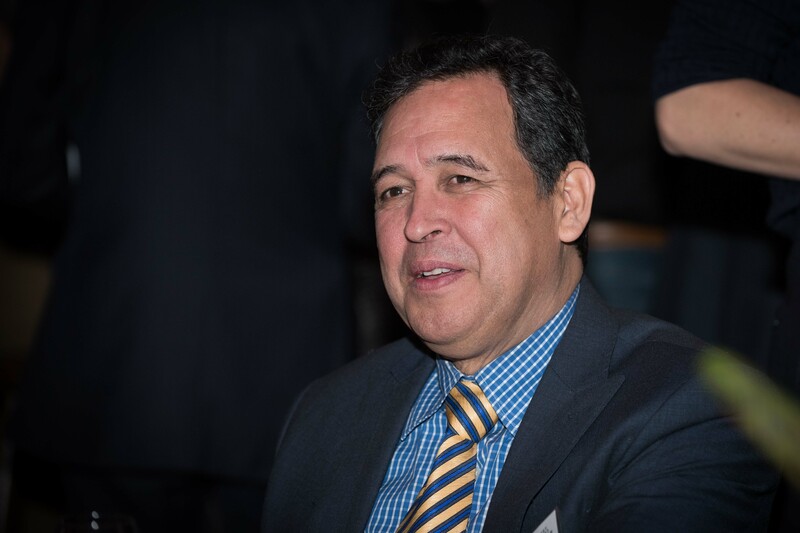 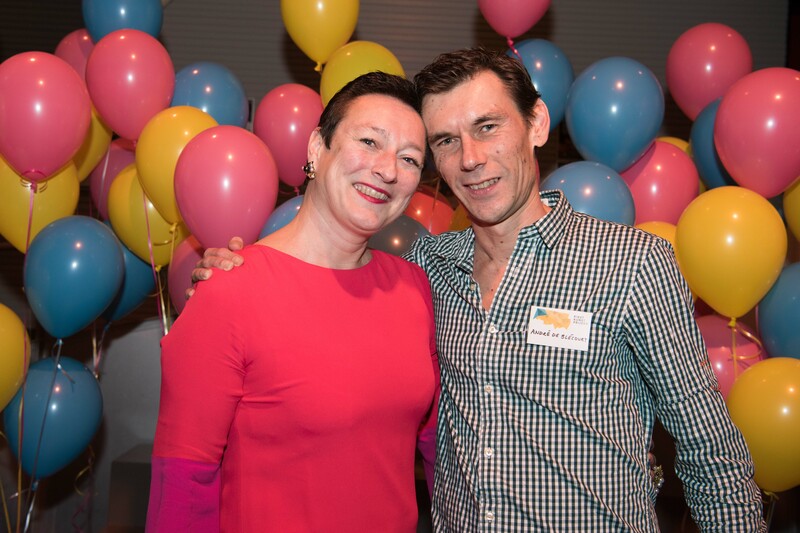 “This means favourable fiscal conditions for those who would like to donate to the Foundation, so please do not hesitate. 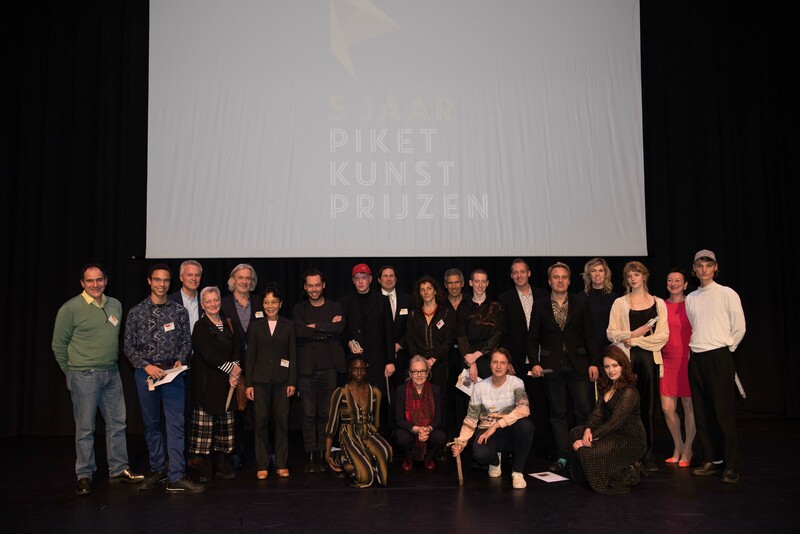 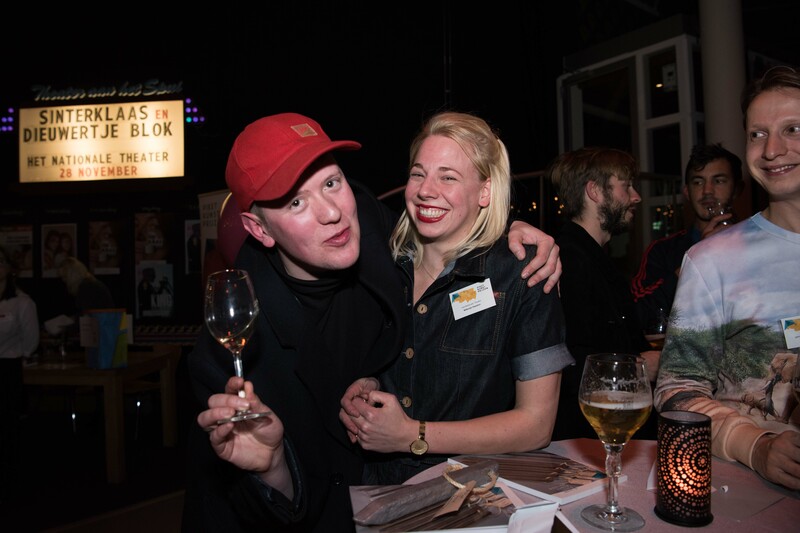 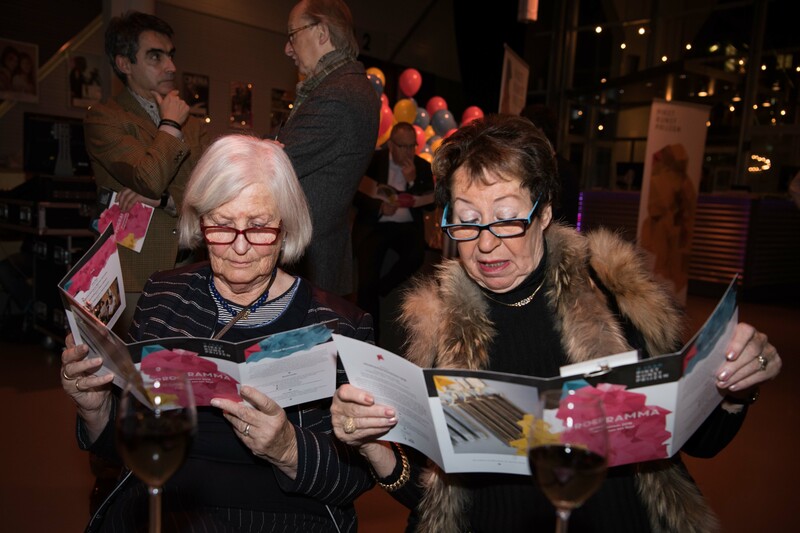 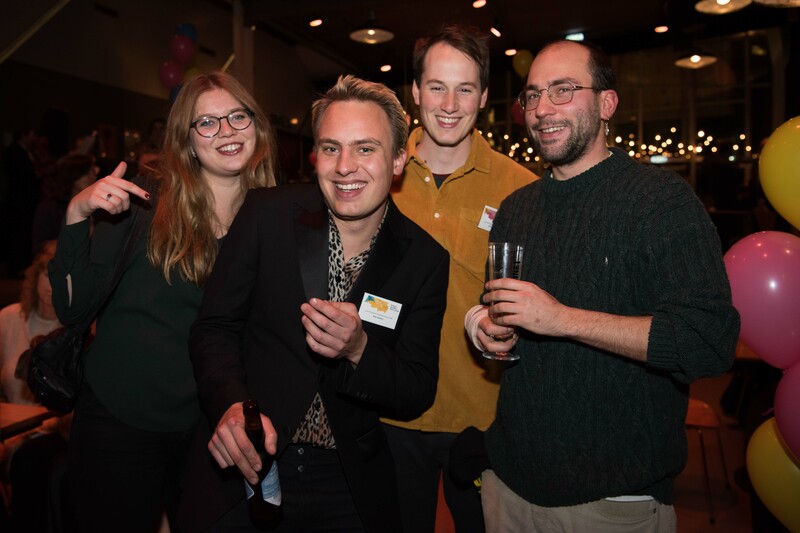 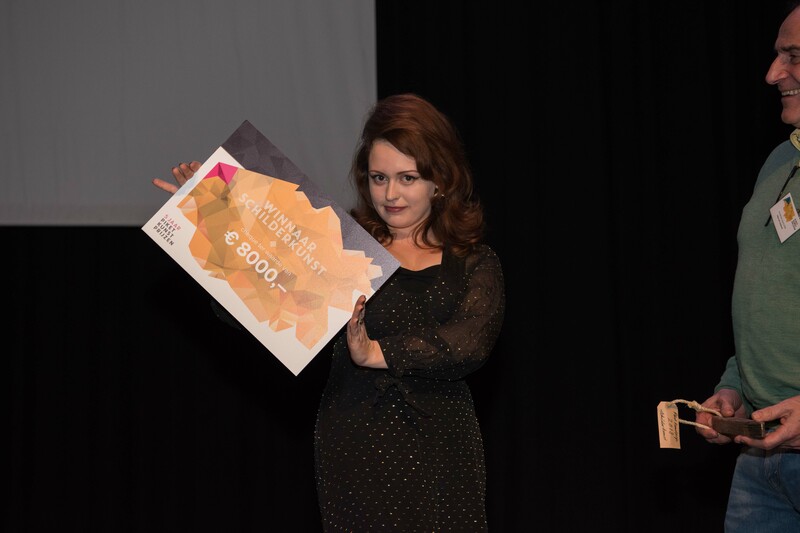 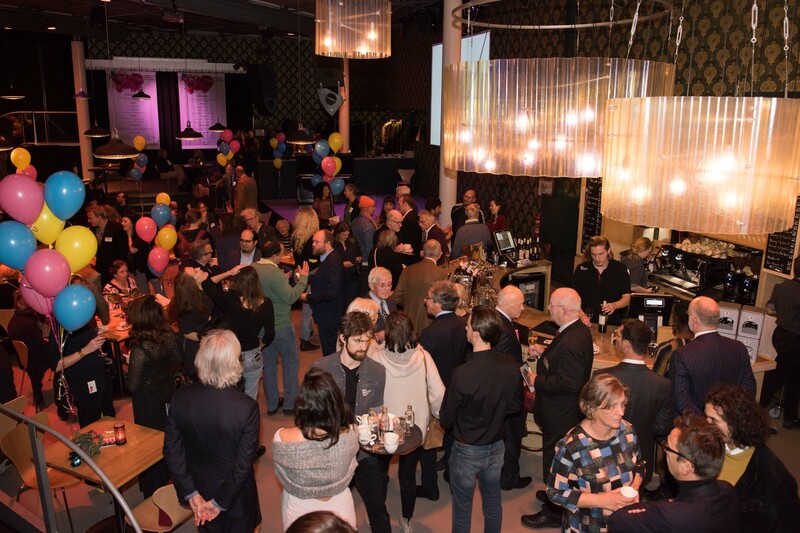 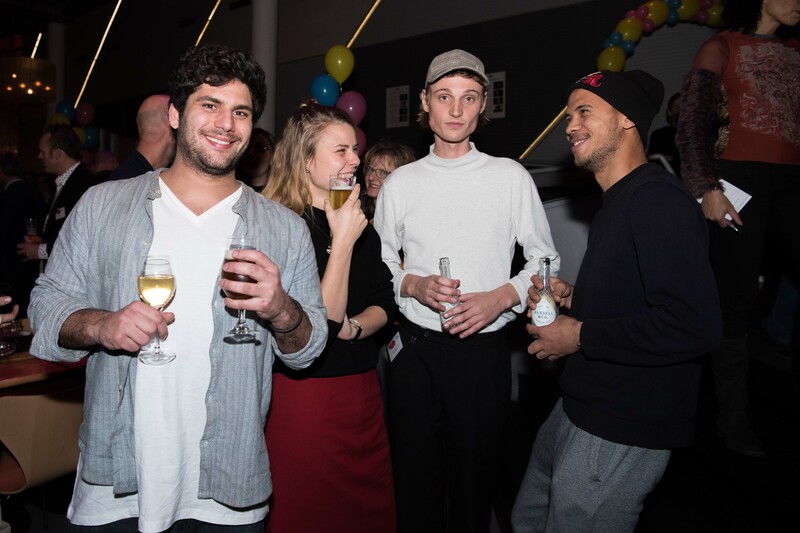 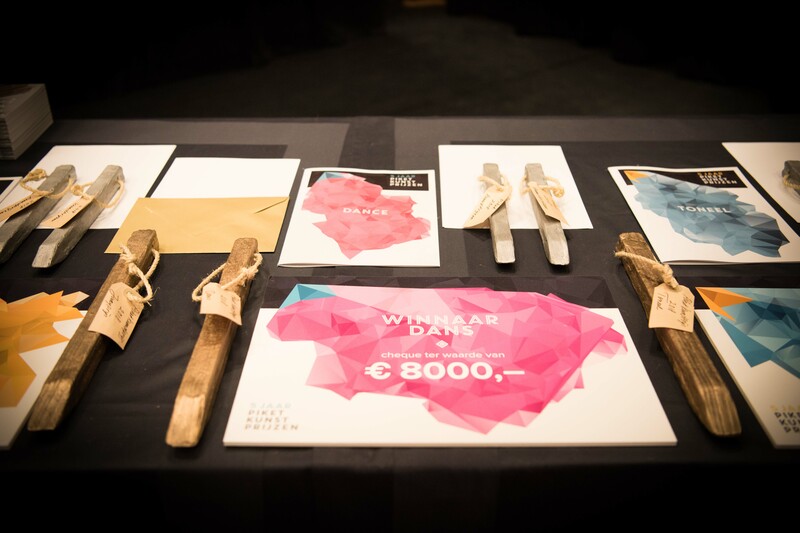 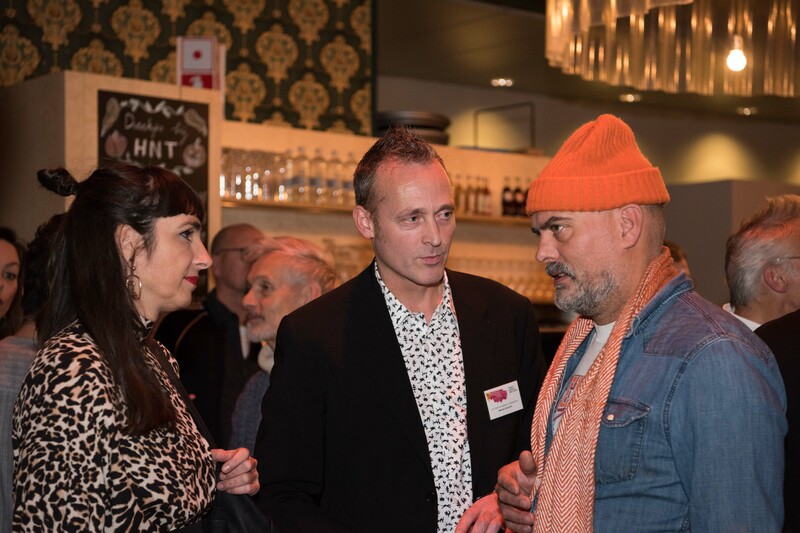 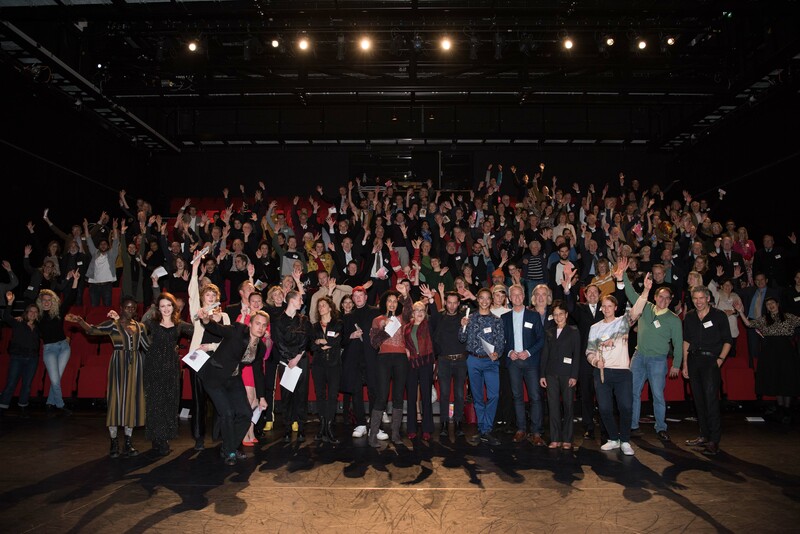 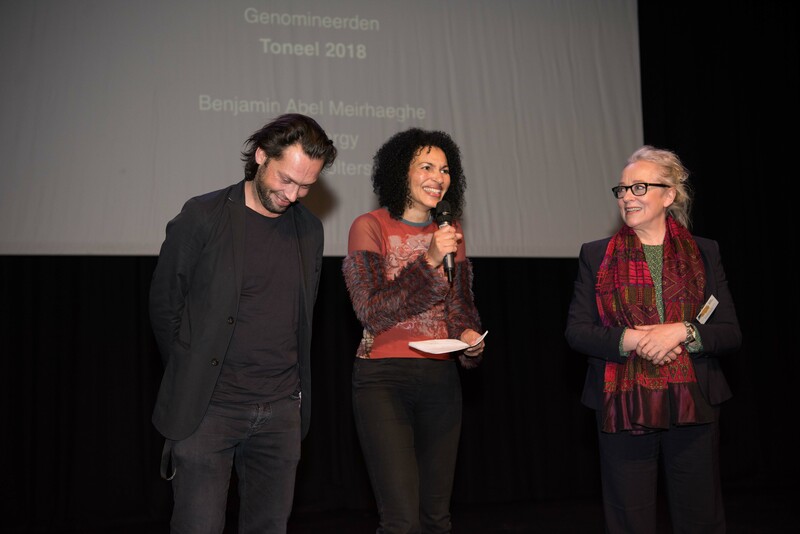 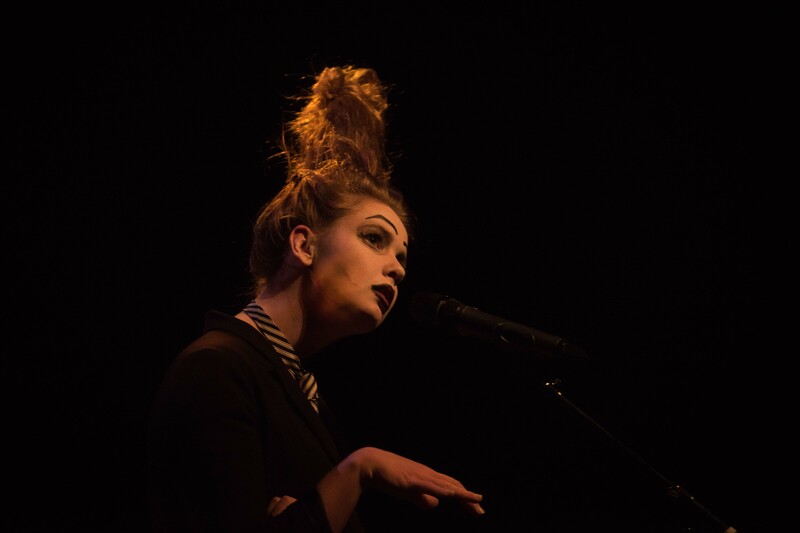 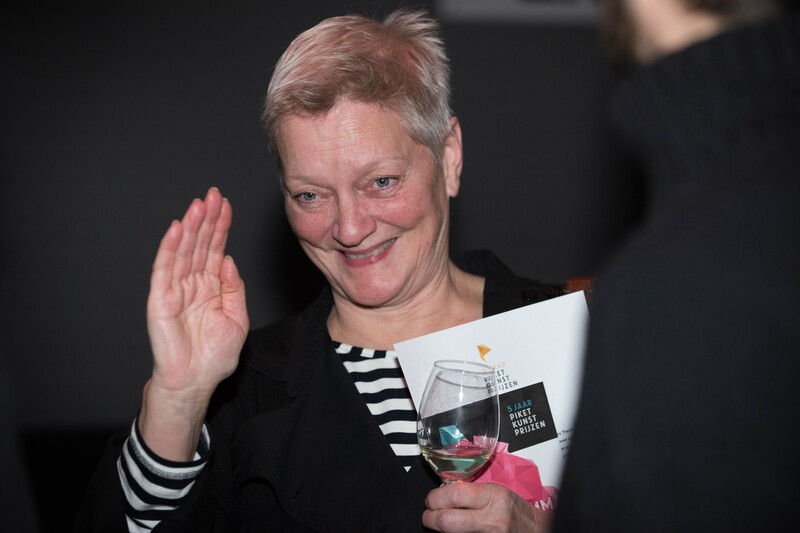 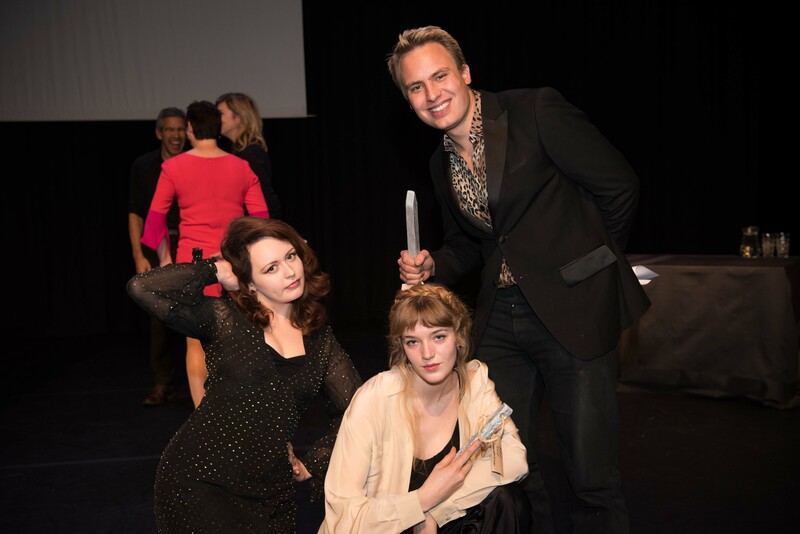 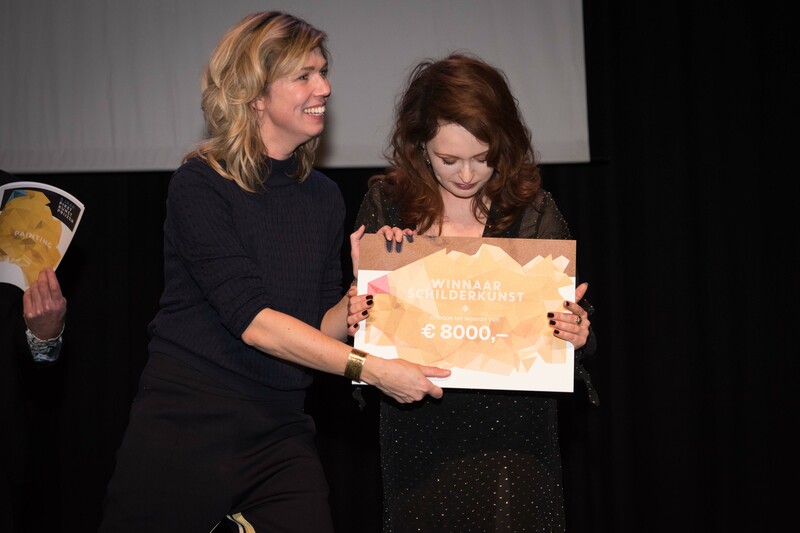 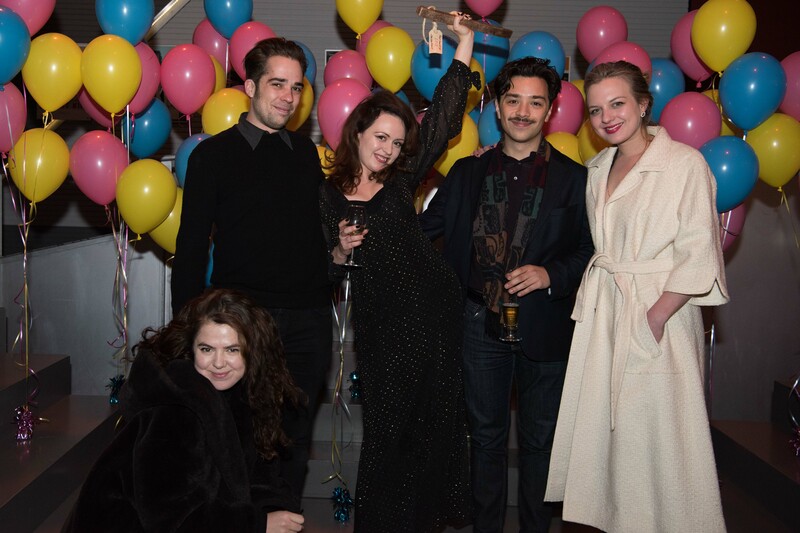 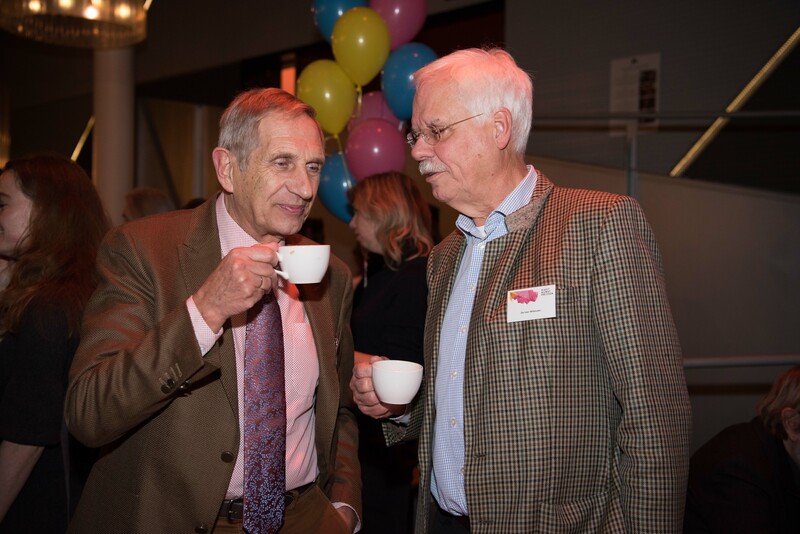 To quote Francis Bacon: ‘Money is like manure, it’s only good if you spread it around.’” And a festive occasion means a treat: the sum of 9.000 Euros will be set aside as a special jubilee contribution towards creative collaboration between (former) nominees. 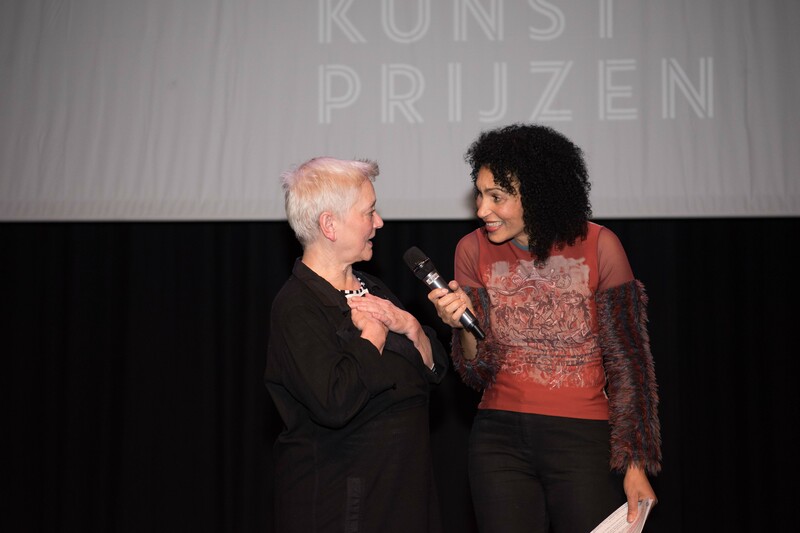 Former nominees Rutkay Özpinar and Beaudil Elzenga contributed to this special jubilee edition of the annual presentation. 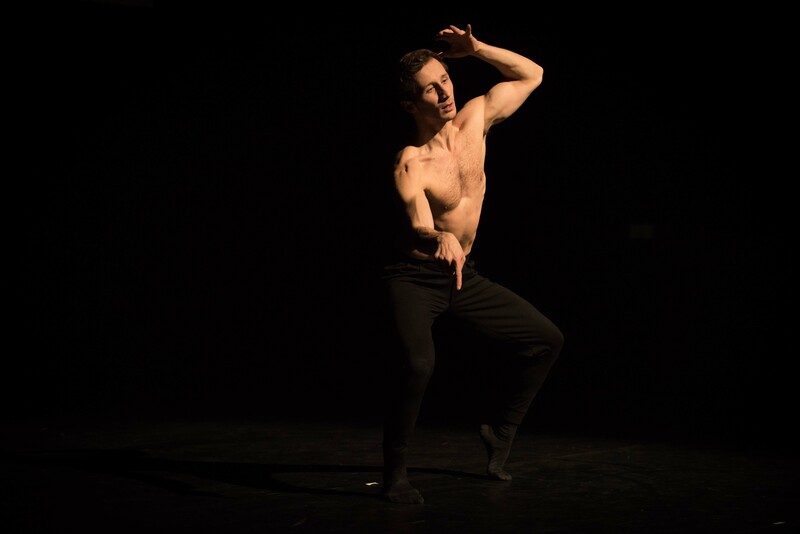 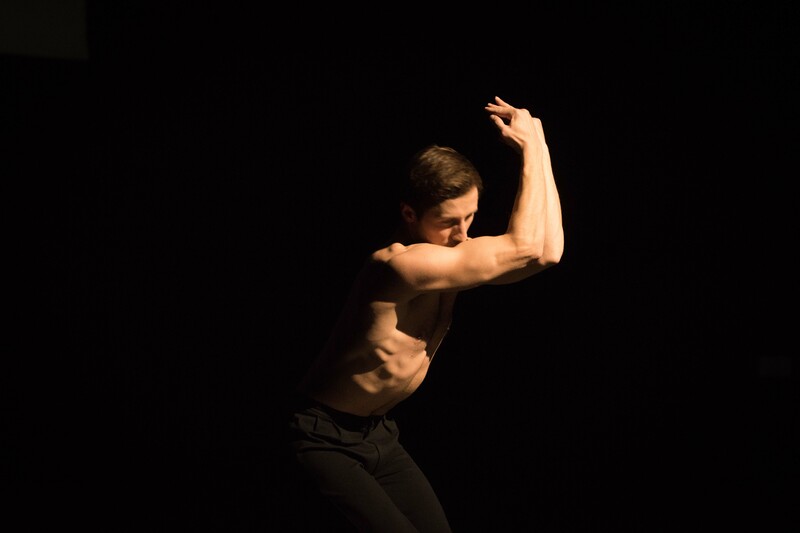 Özpinar was a 2014 Dance nominee; he performed is latest choreography No One Home. 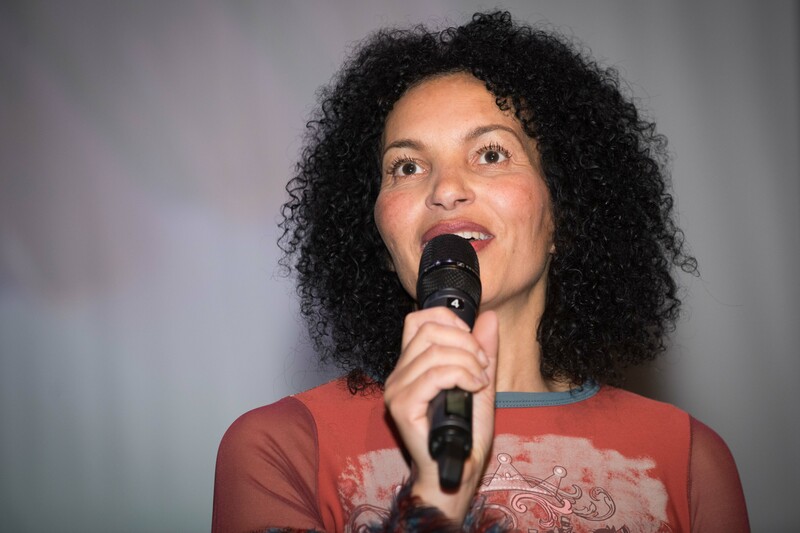 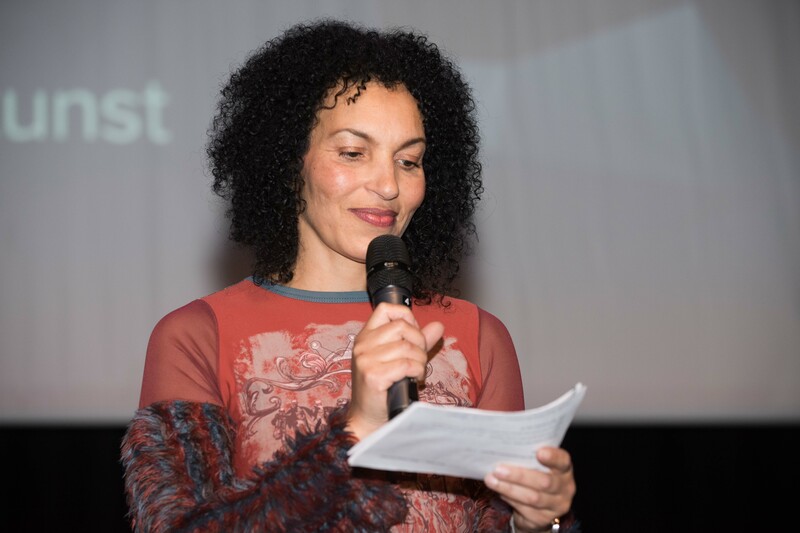 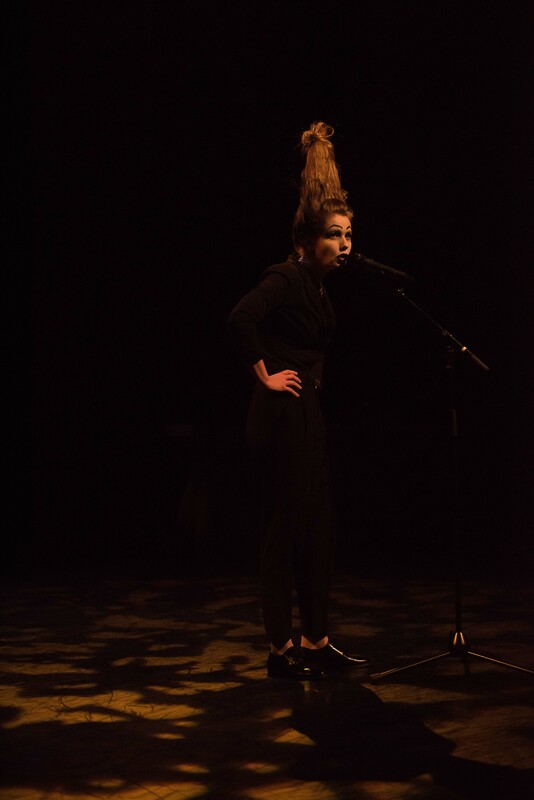 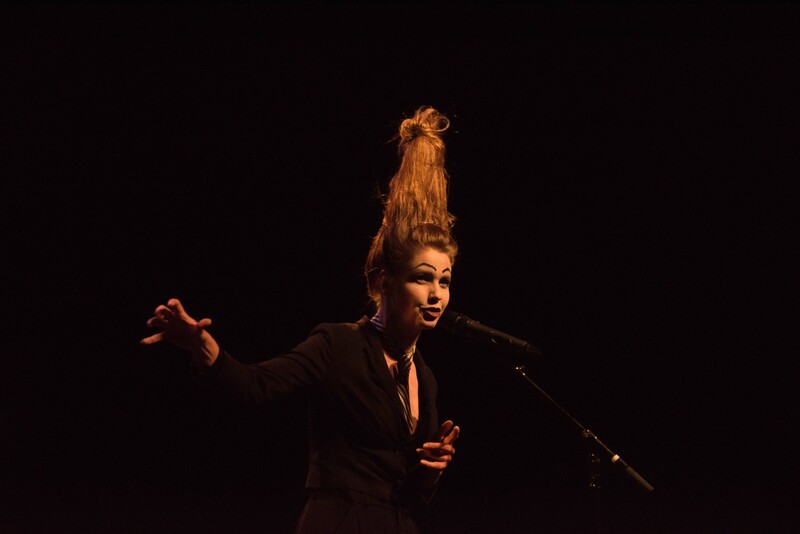 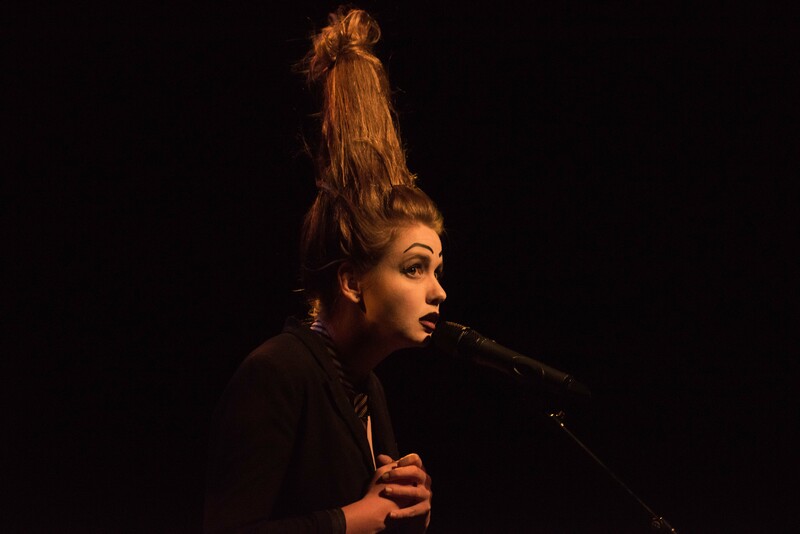 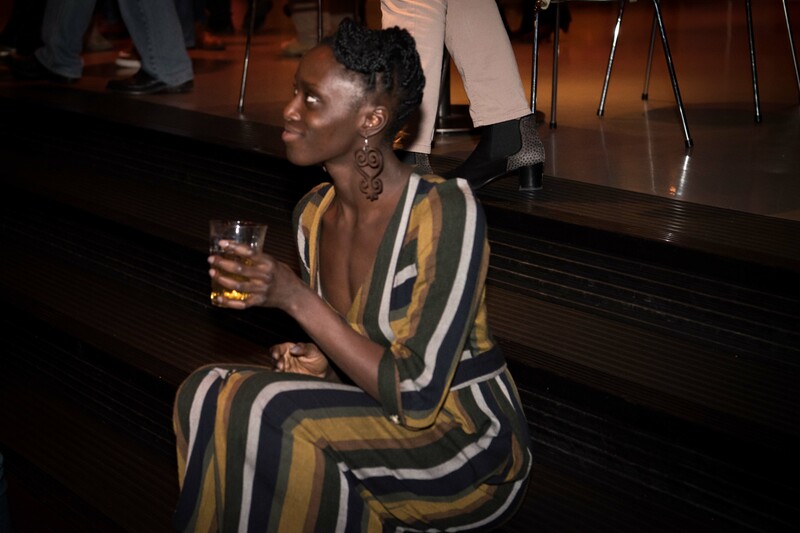 Beaudil Elzenga, nominated in the Dramatic Arts category in 2016, recited the poem The Raven by Edgar Allen Poe.